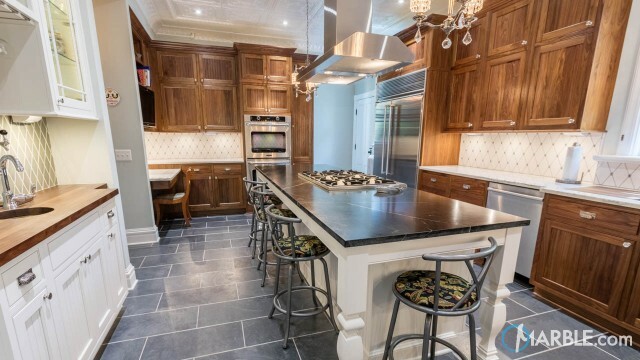 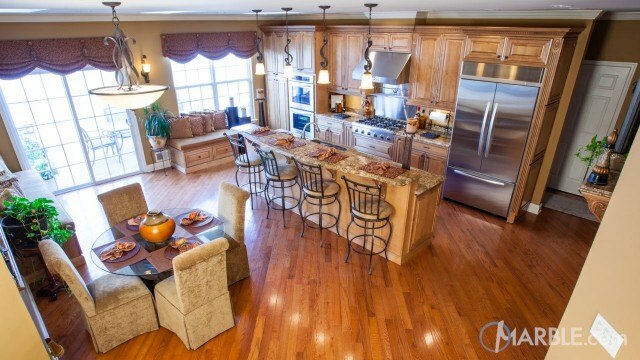 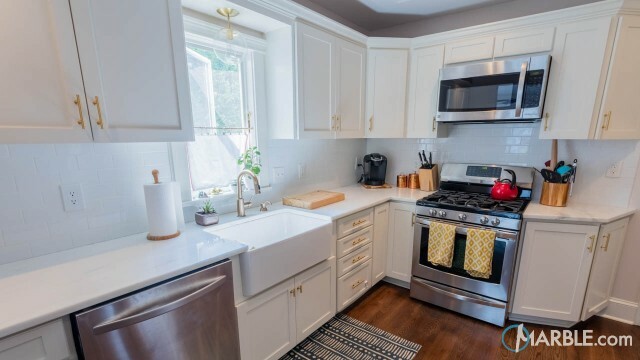 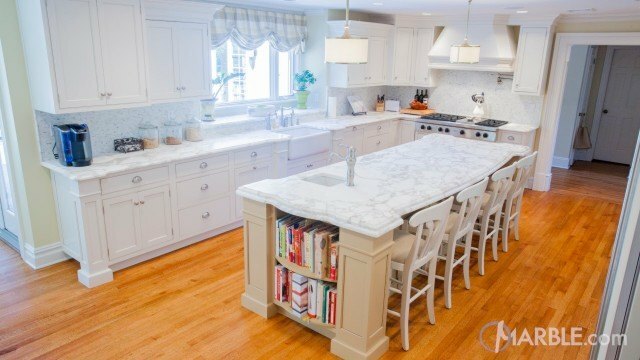 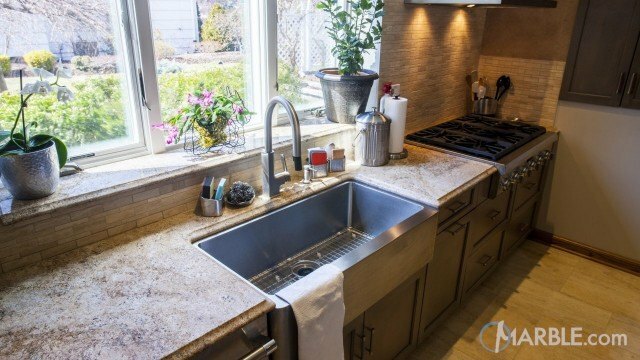 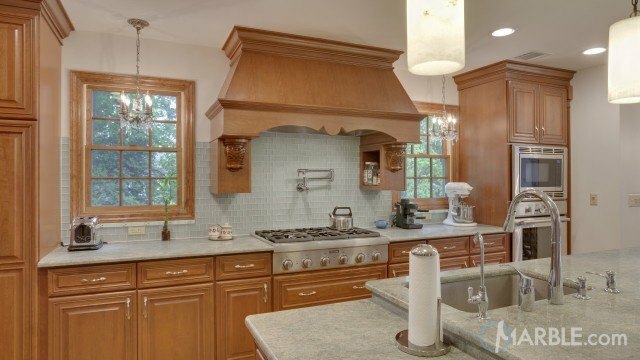 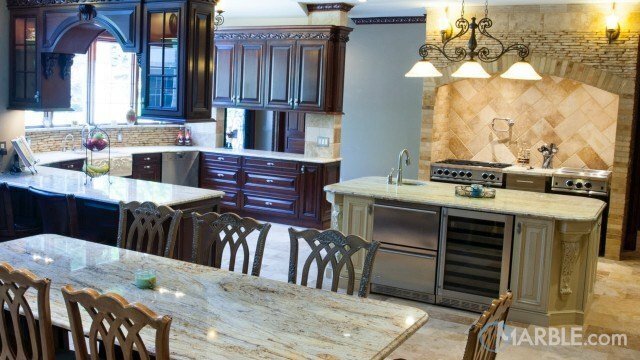 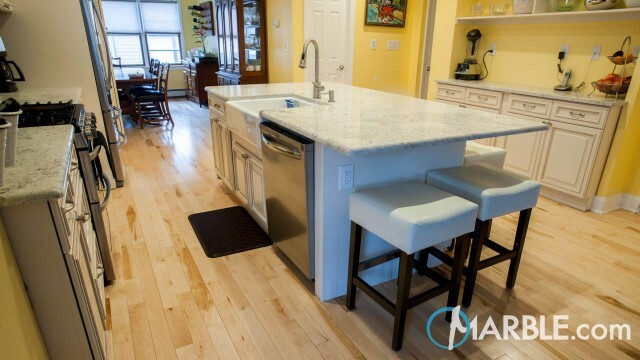 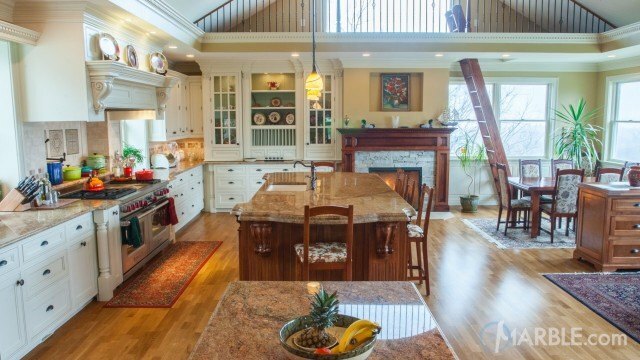 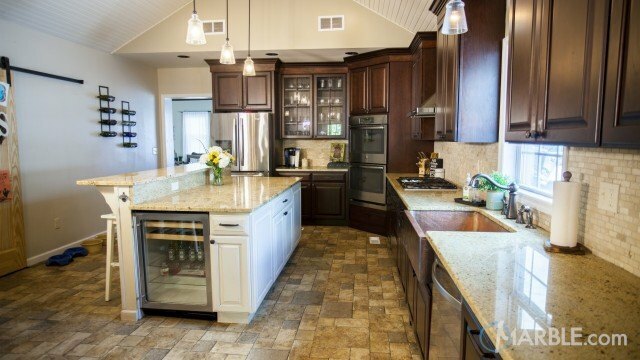 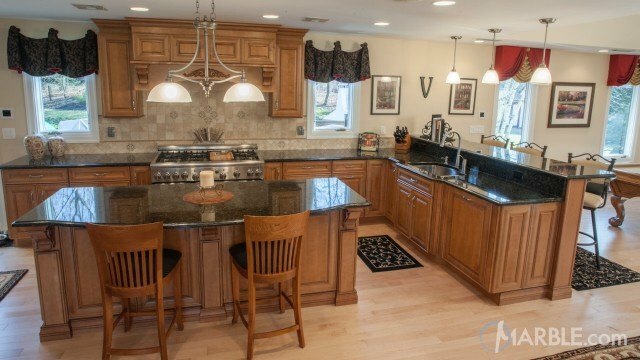 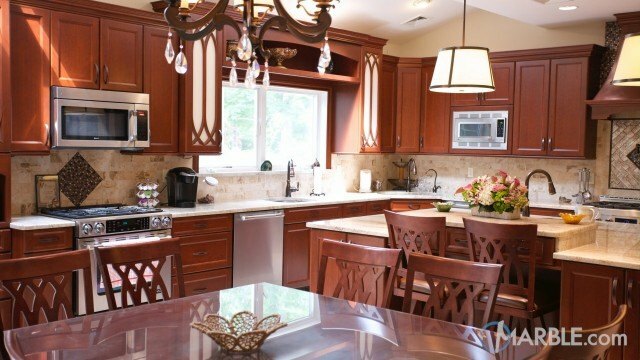 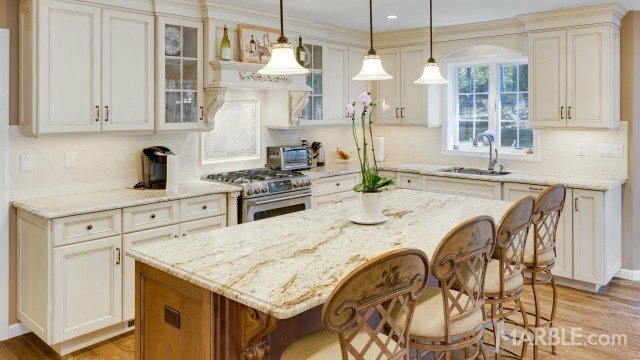 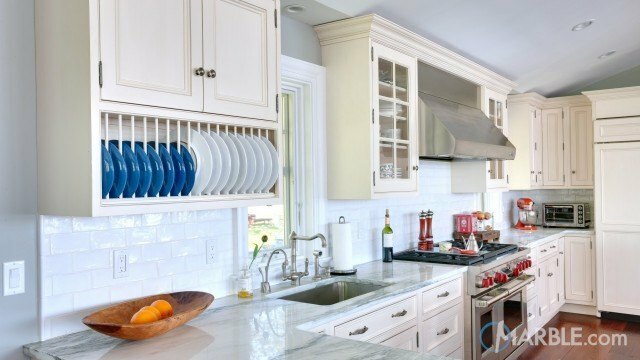 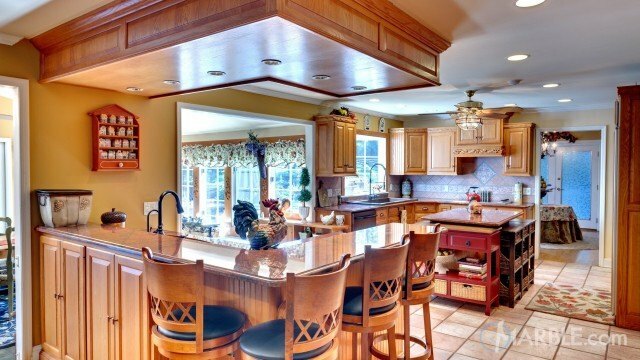 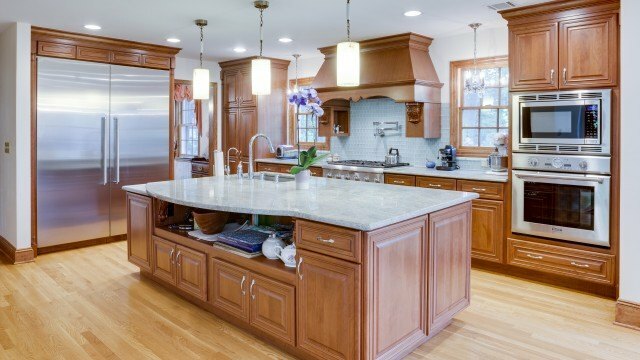 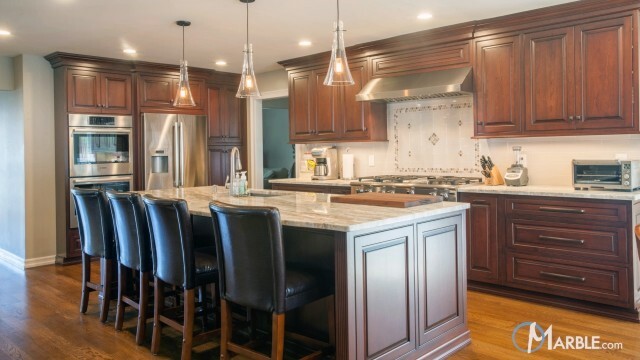 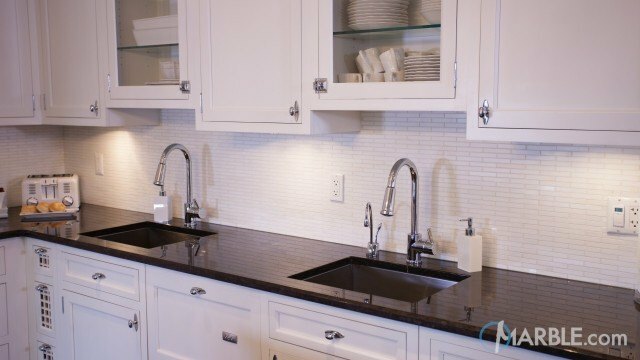 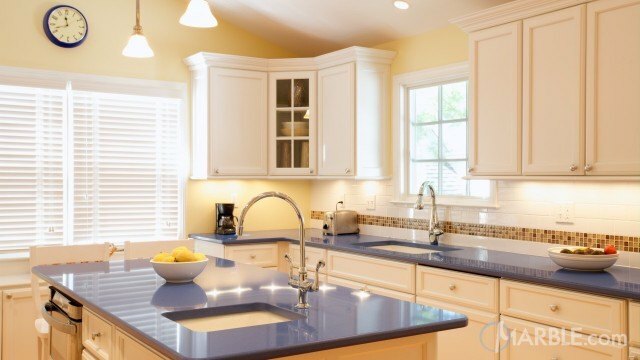 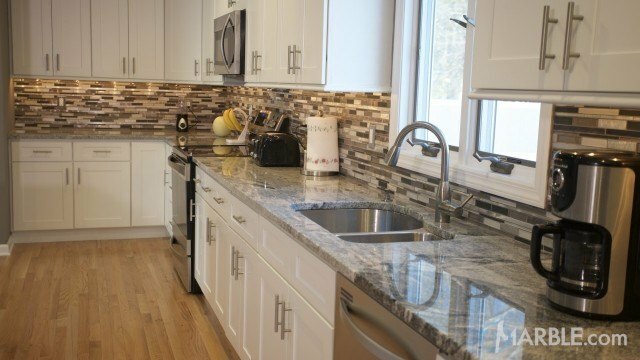 This classic kitchen is light and inviting. 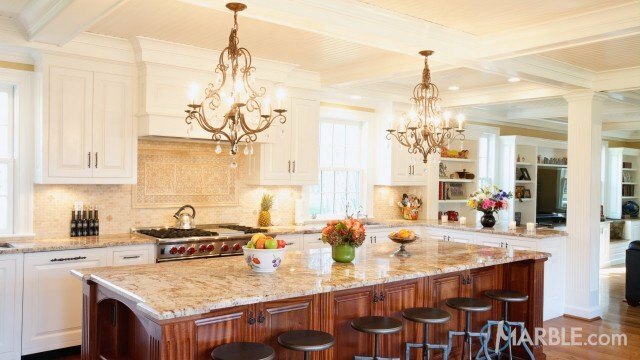 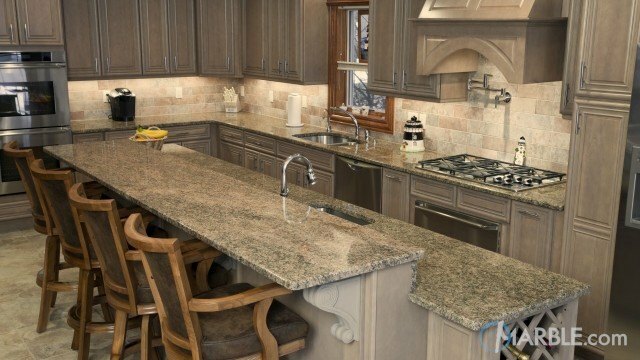 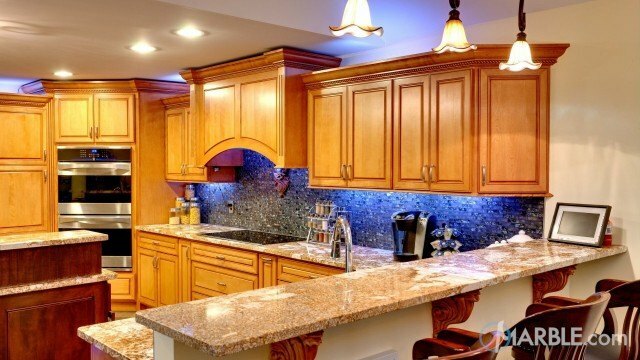 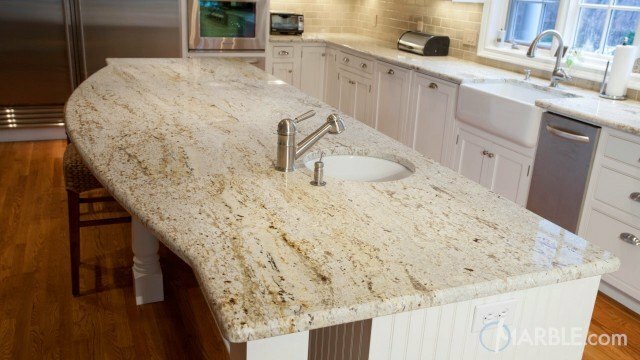 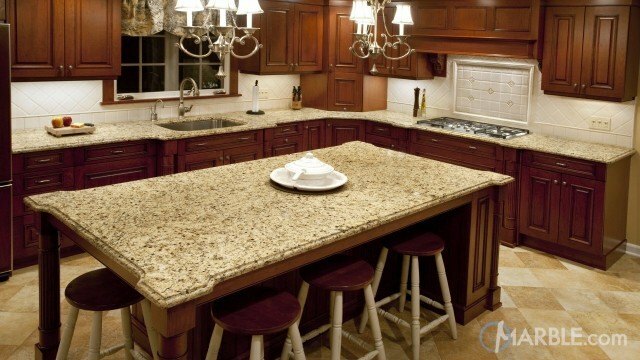 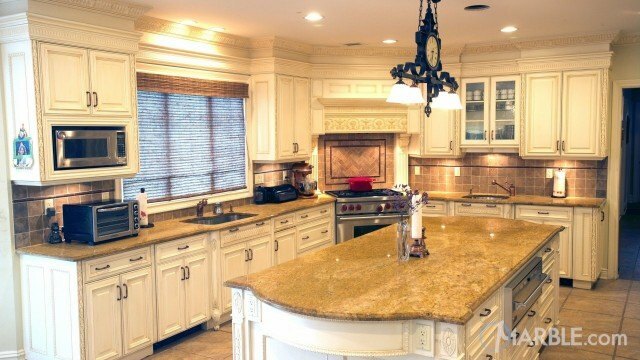 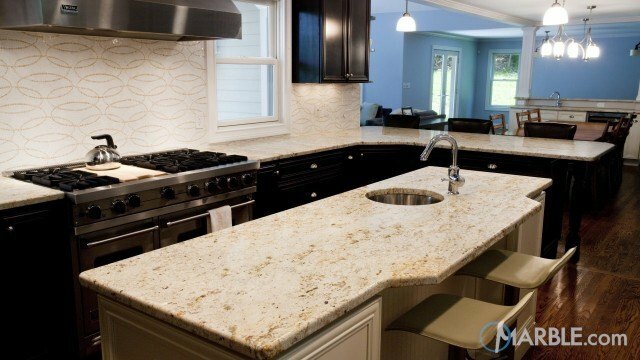 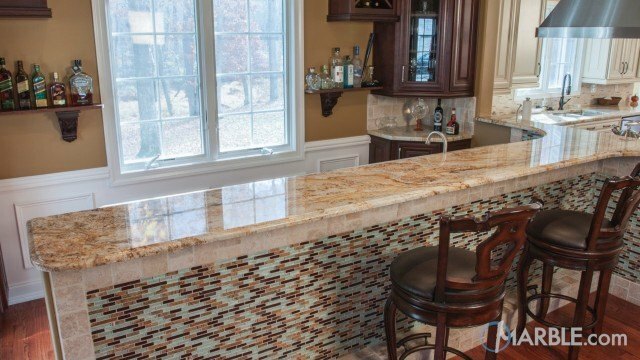 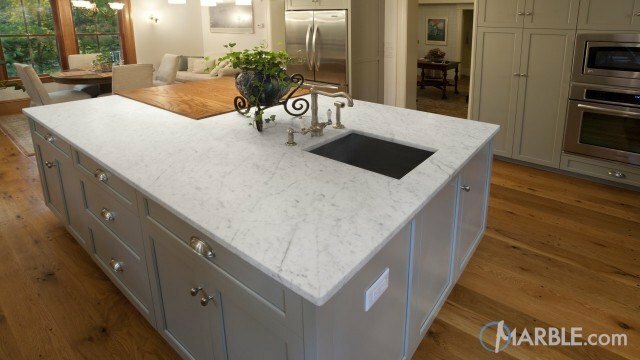 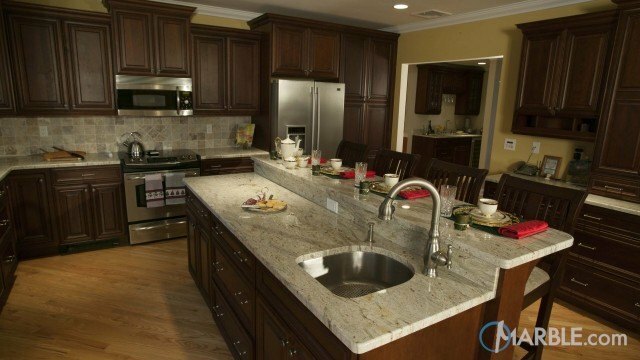 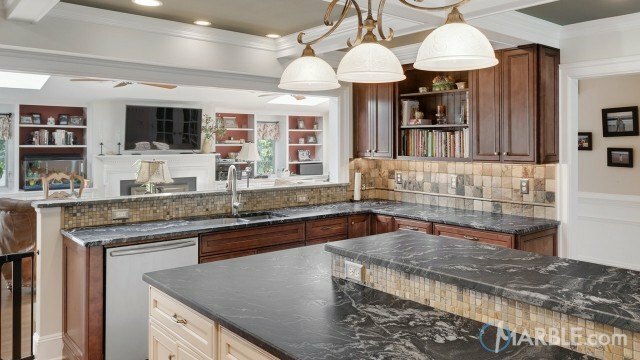 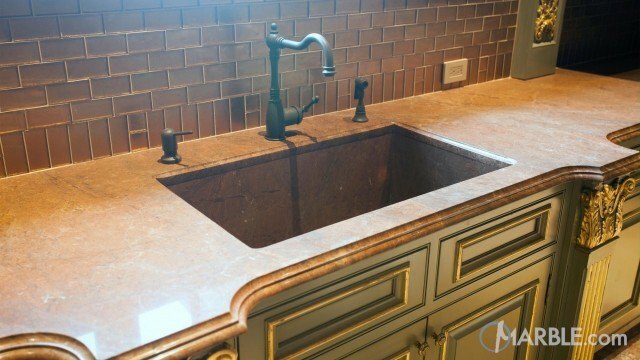 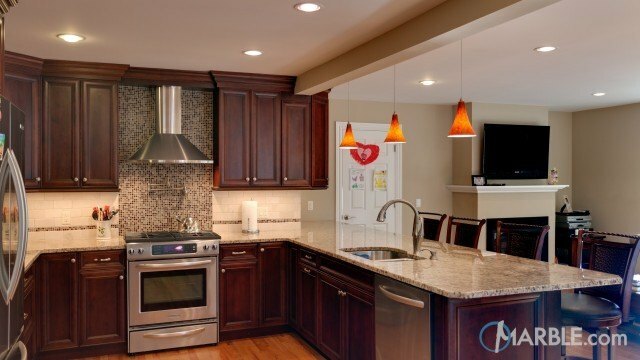 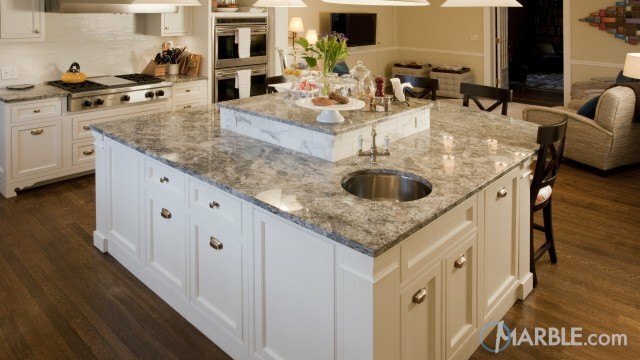 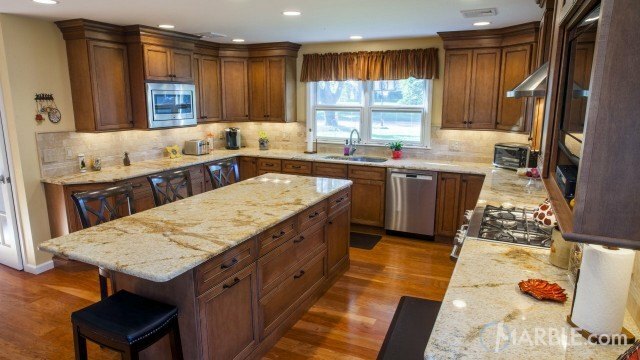 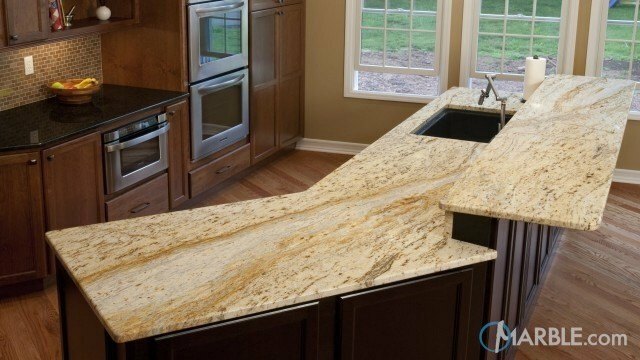 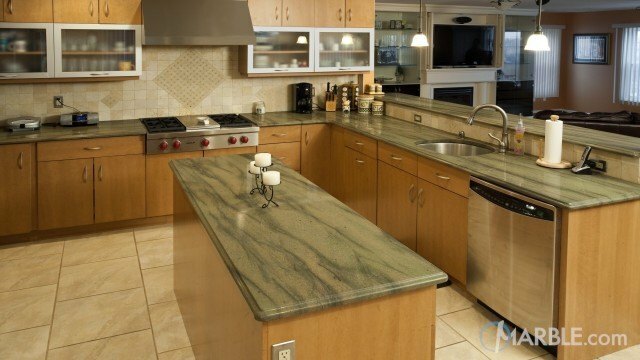 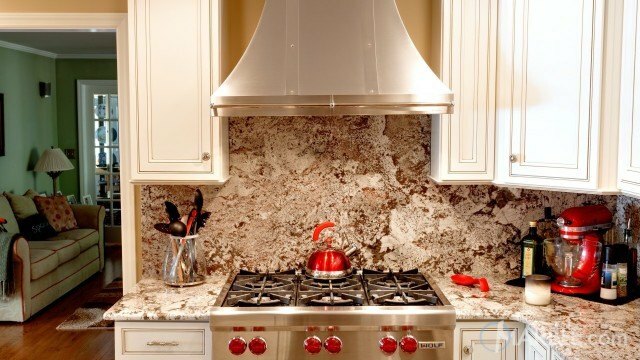 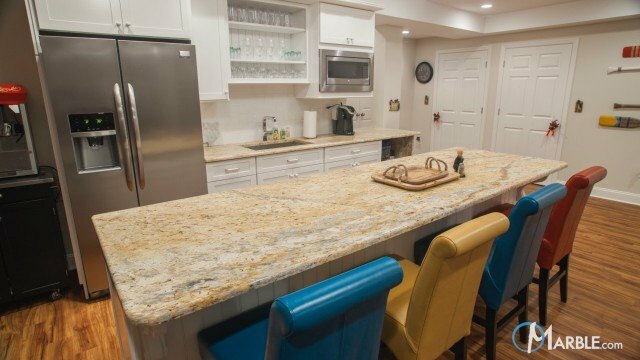 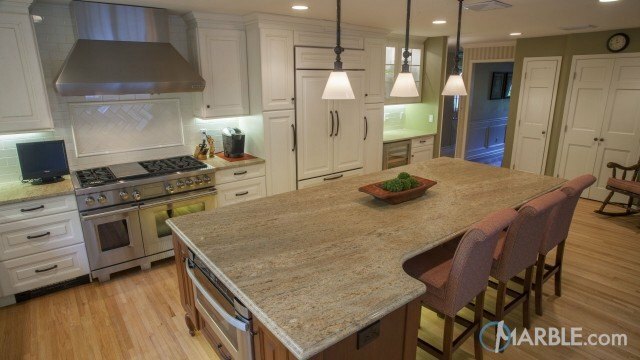 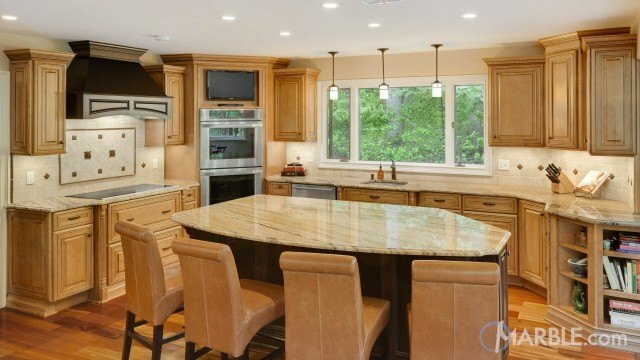 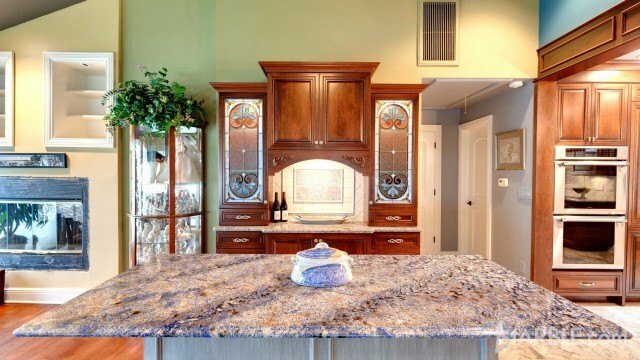 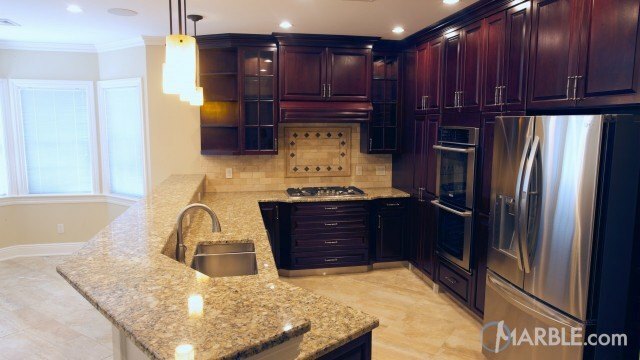 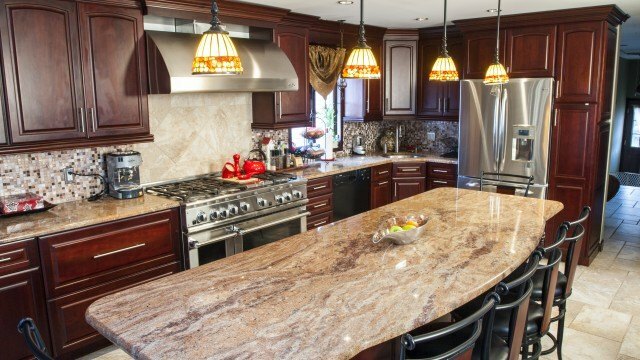 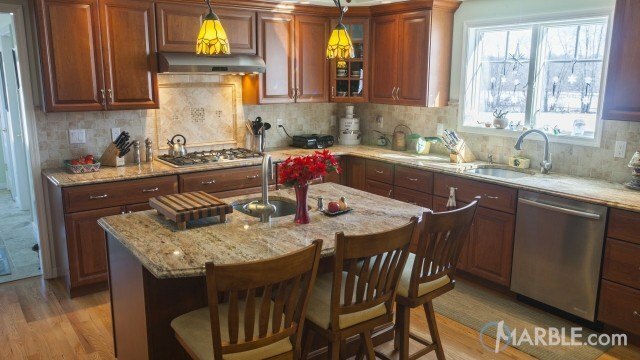 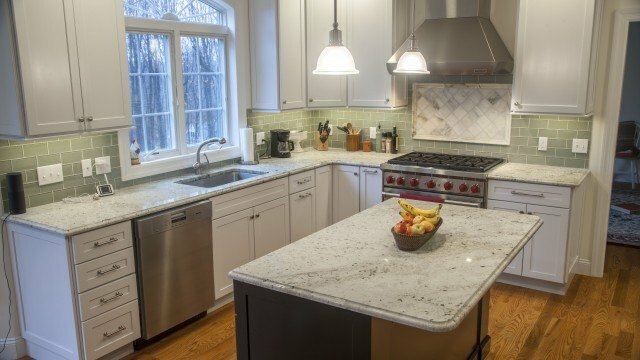 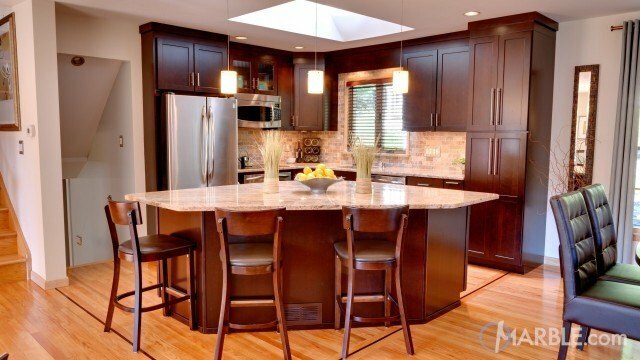 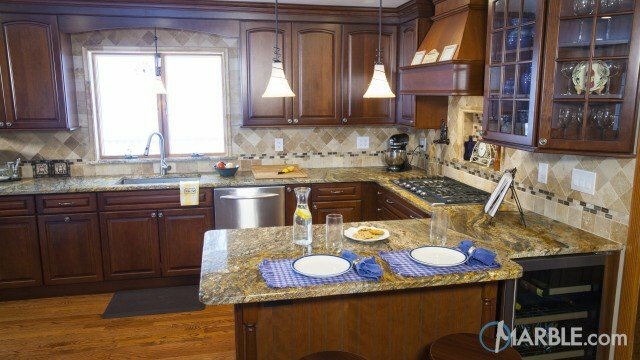 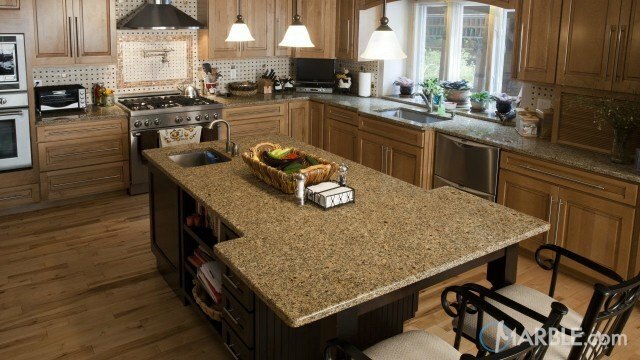 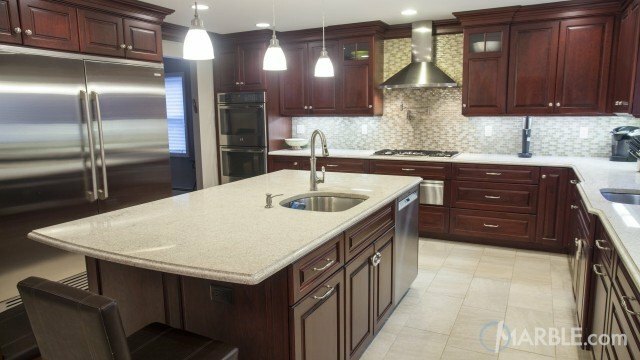 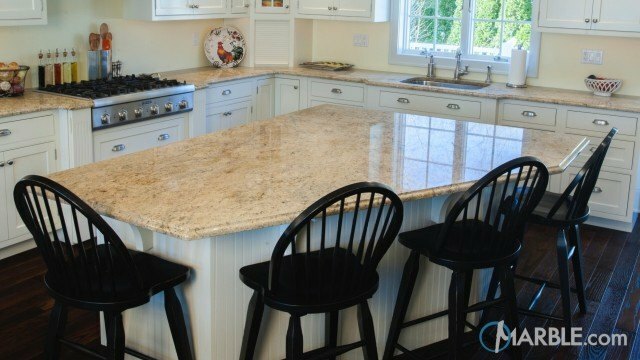 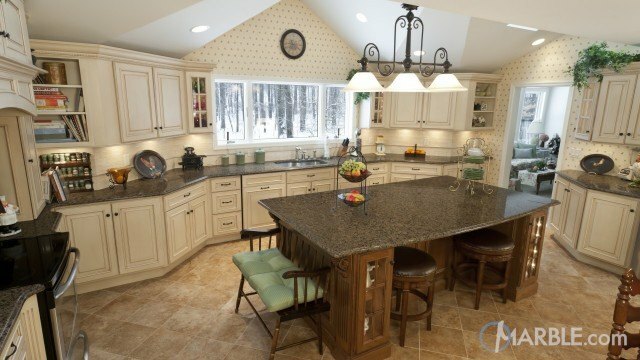 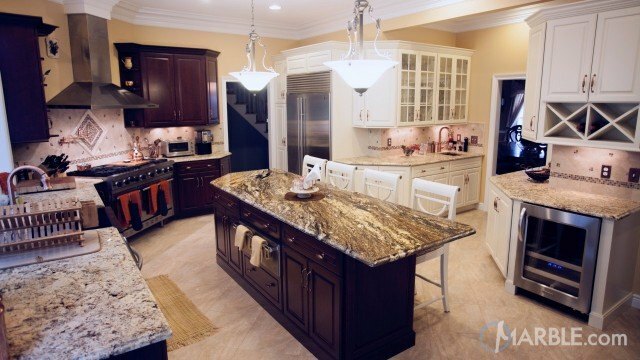 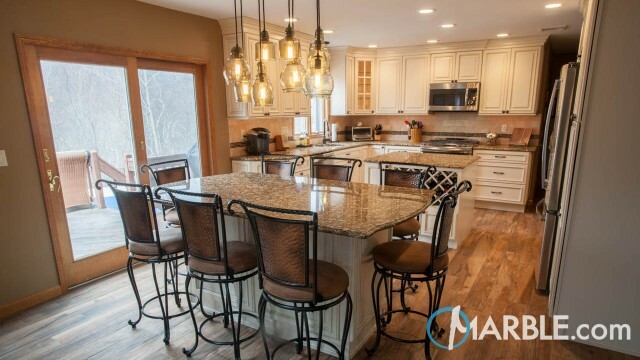 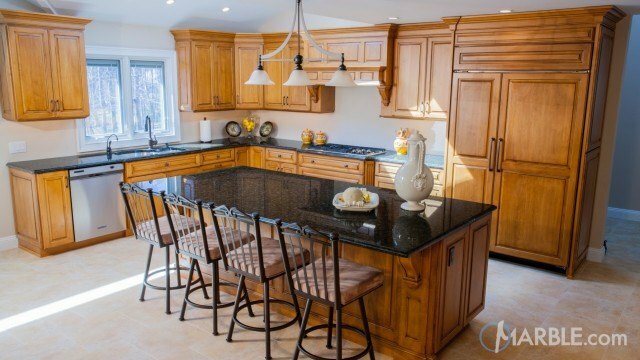 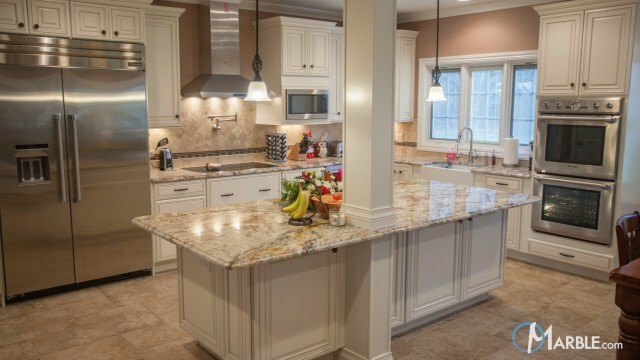 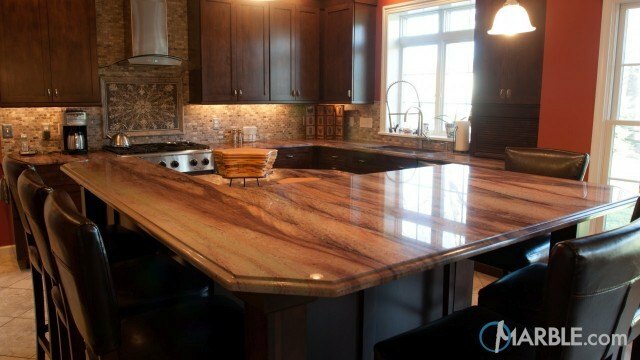 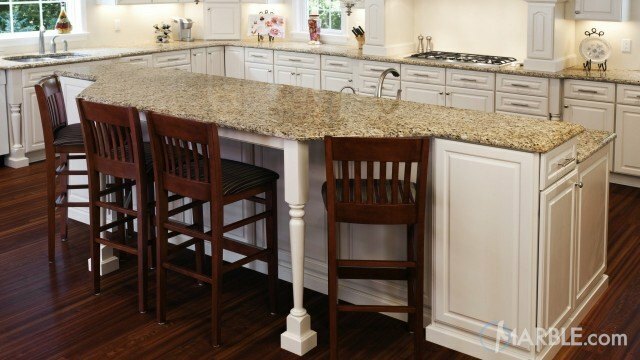 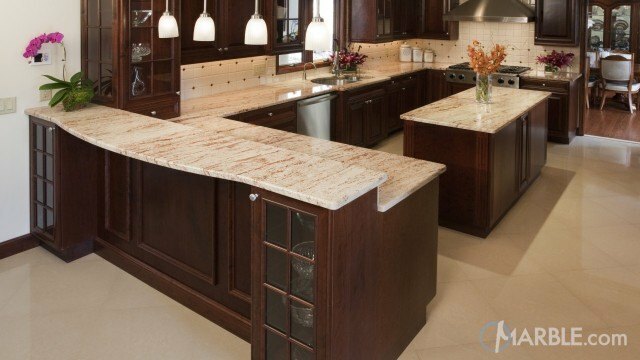 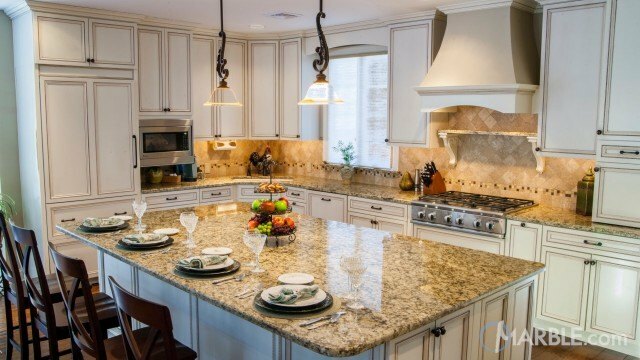 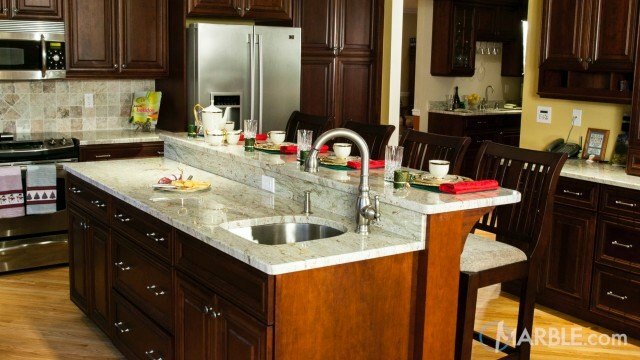 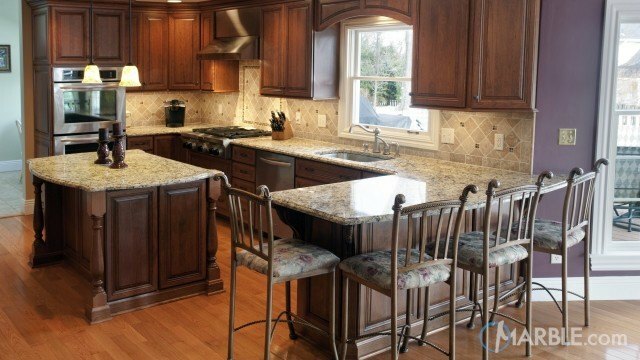 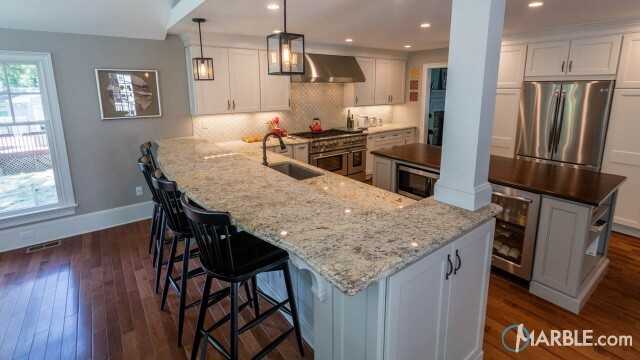 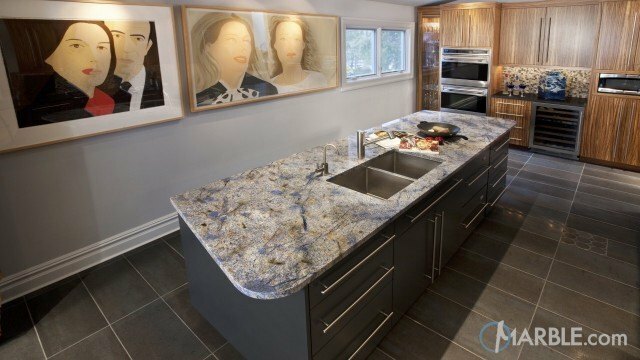 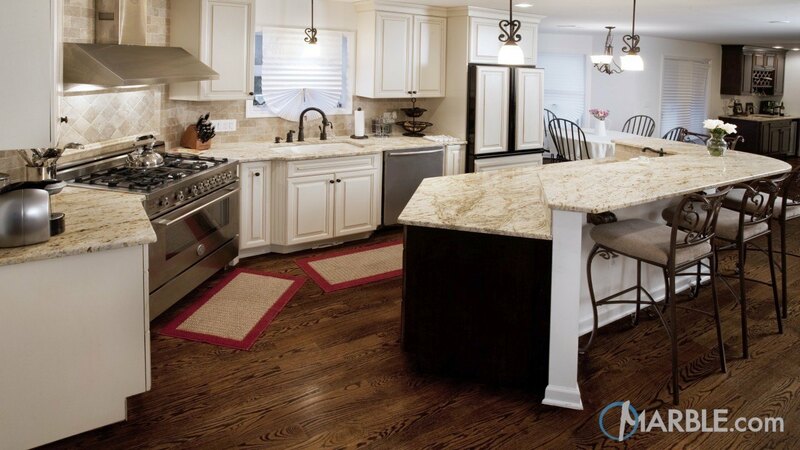 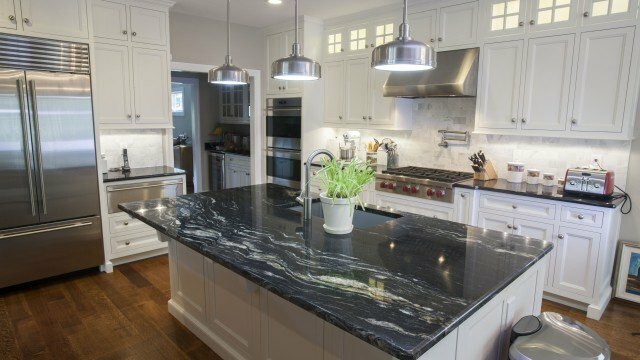 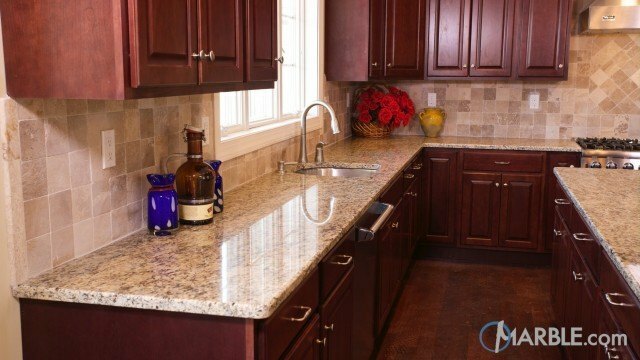 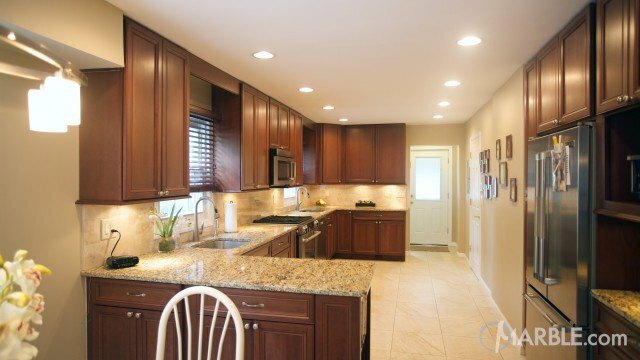 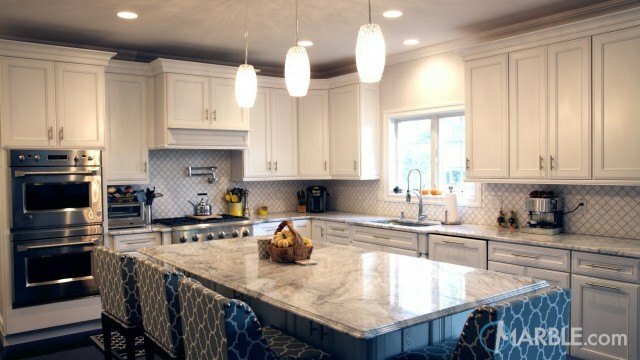 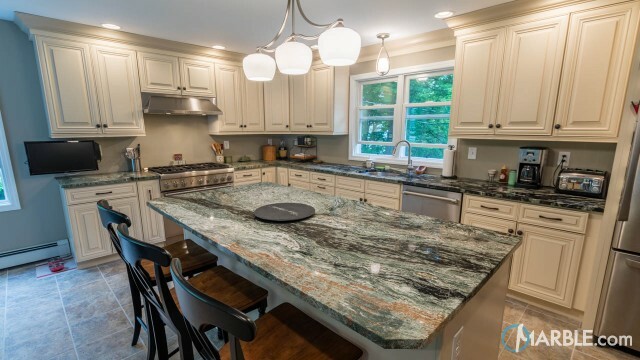 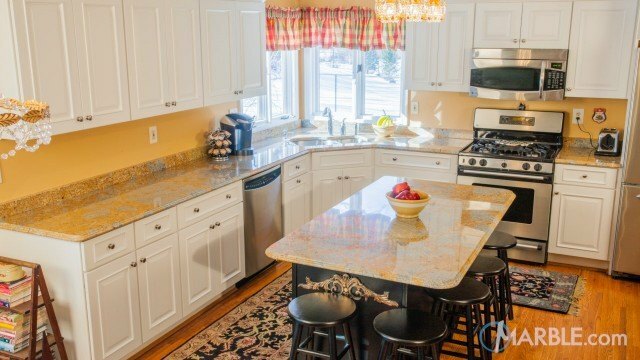 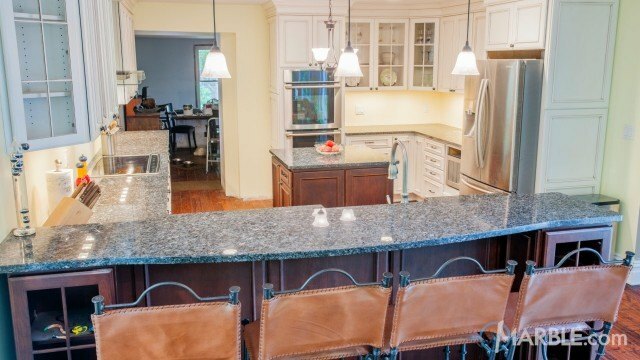 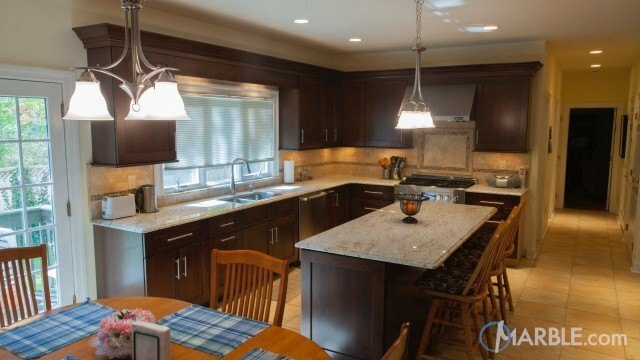 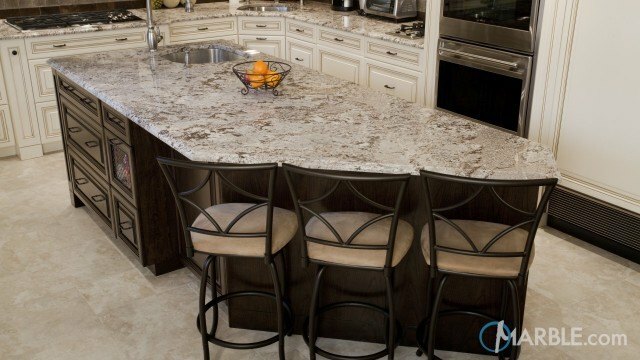 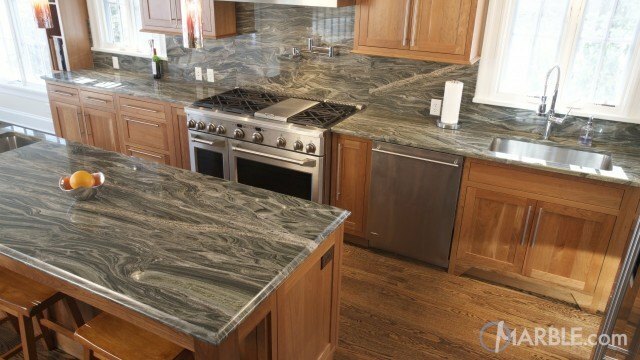 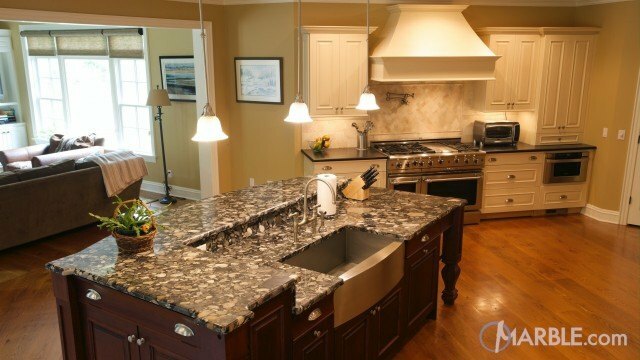 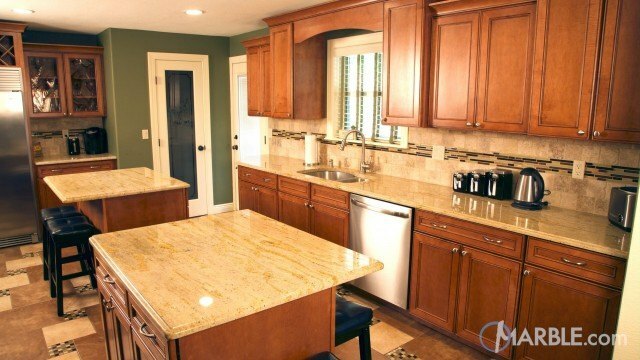 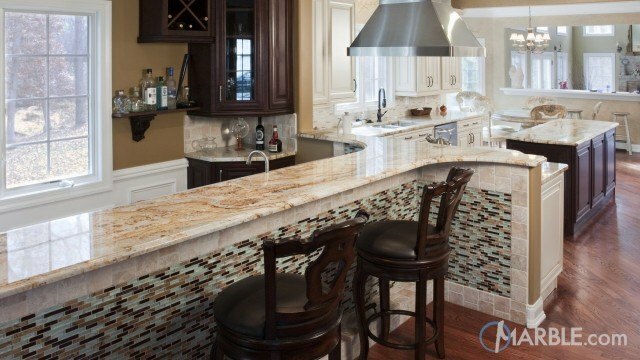 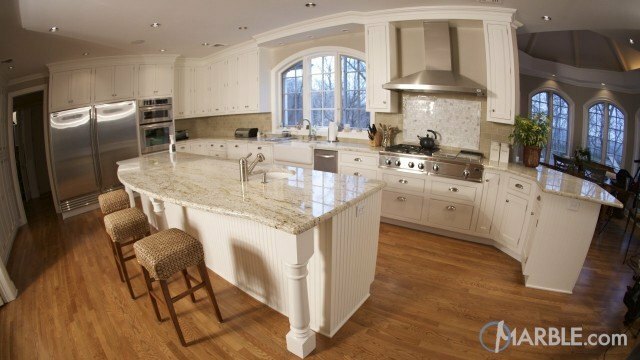 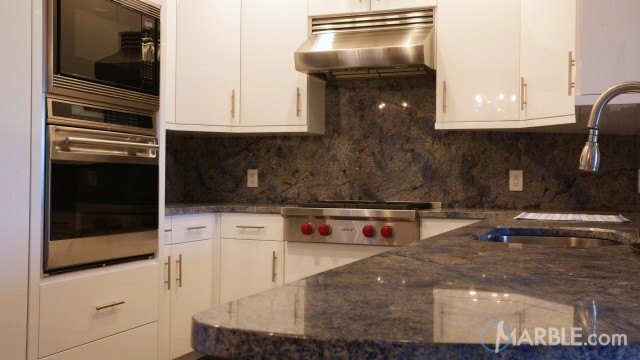 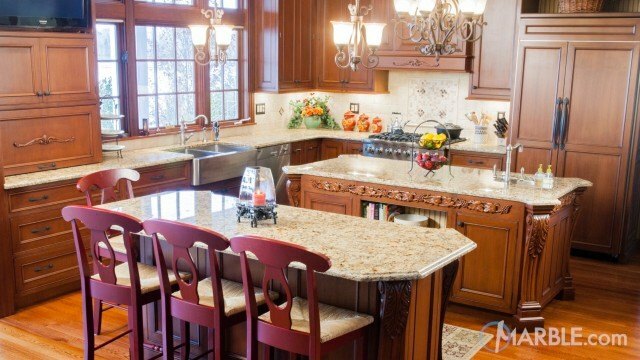 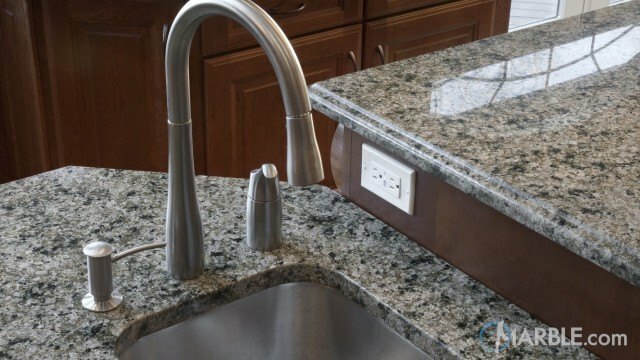 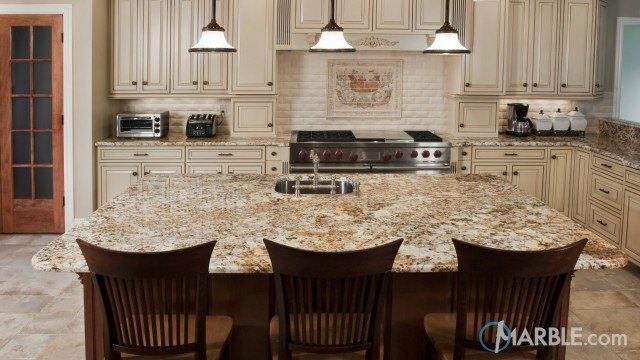 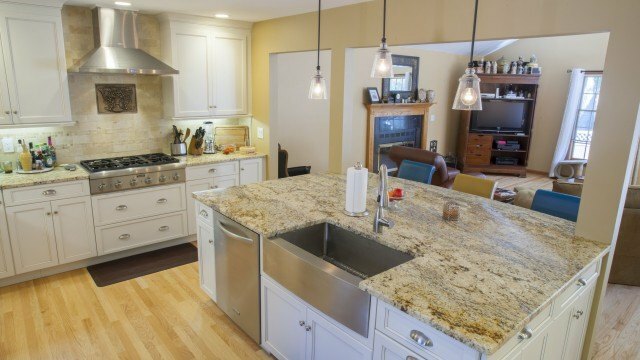 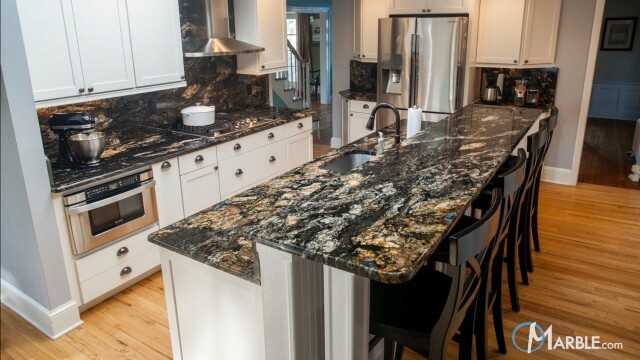 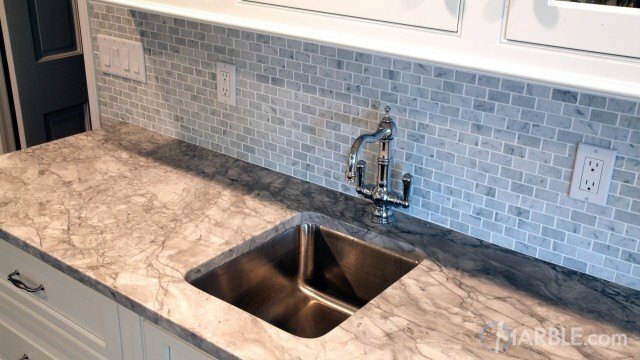 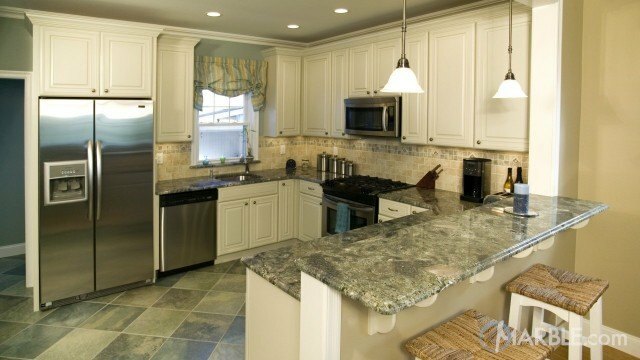 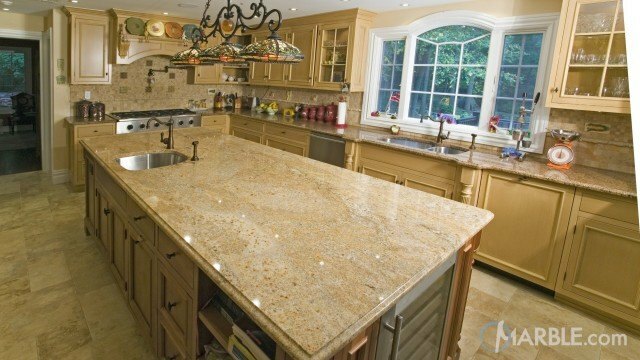 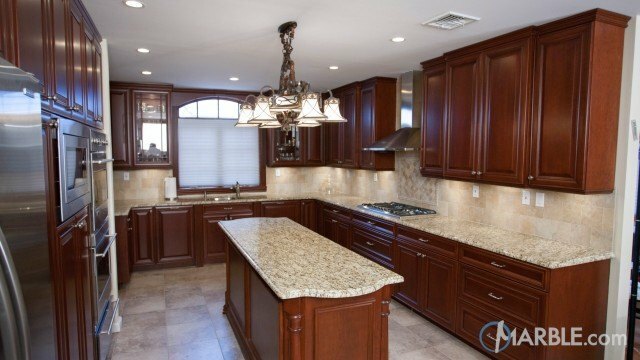 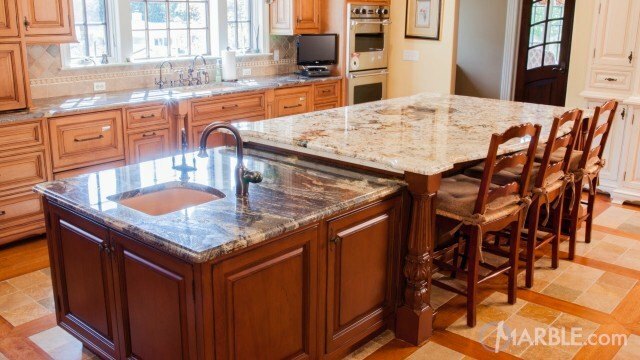 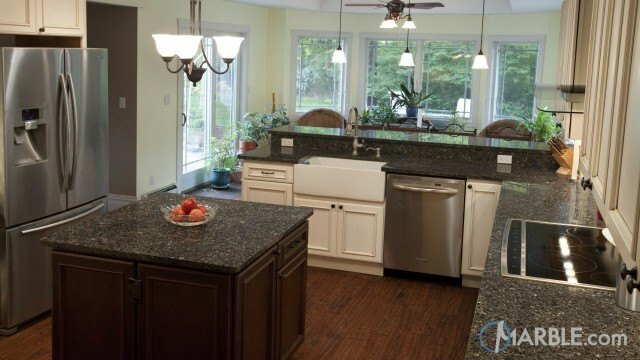 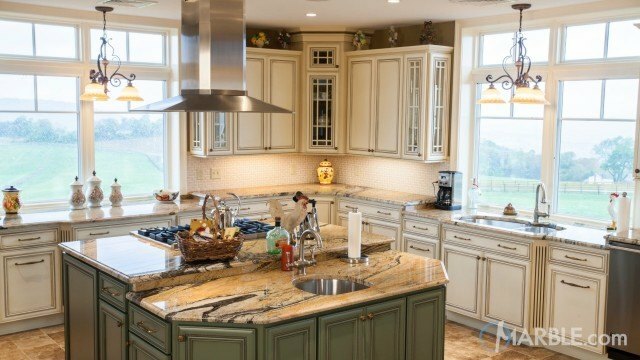 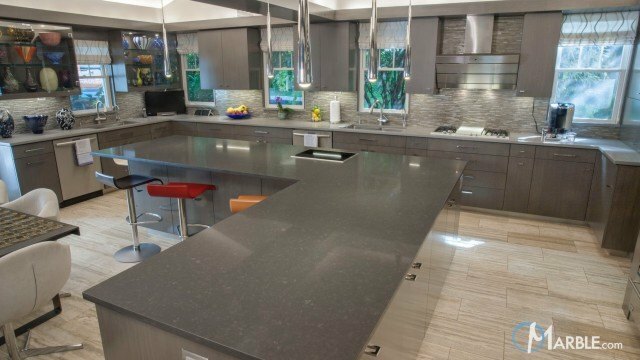 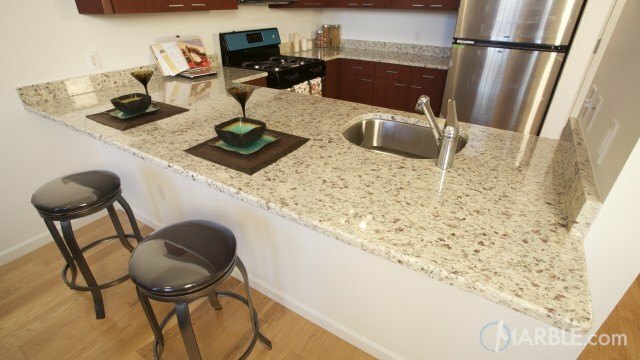 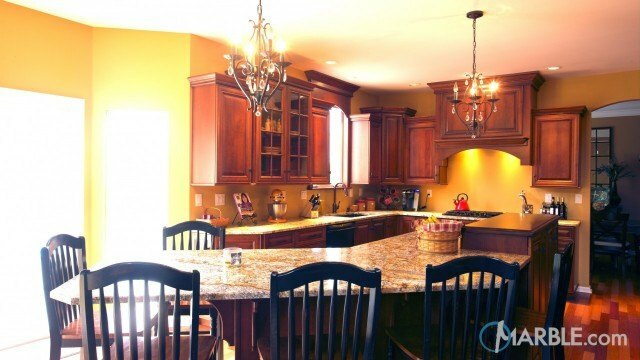 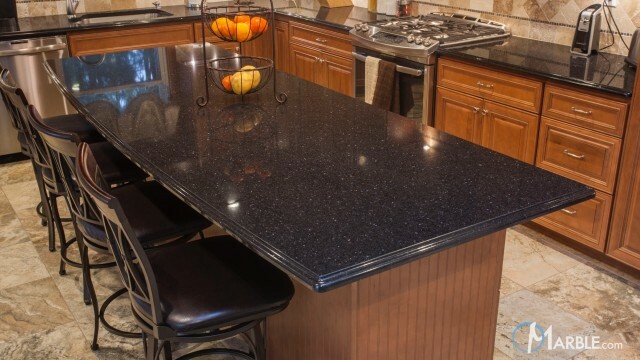 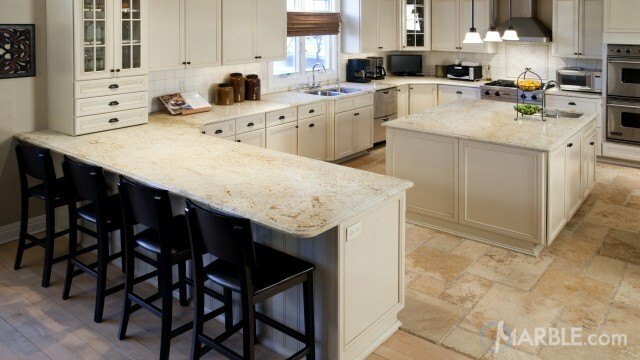 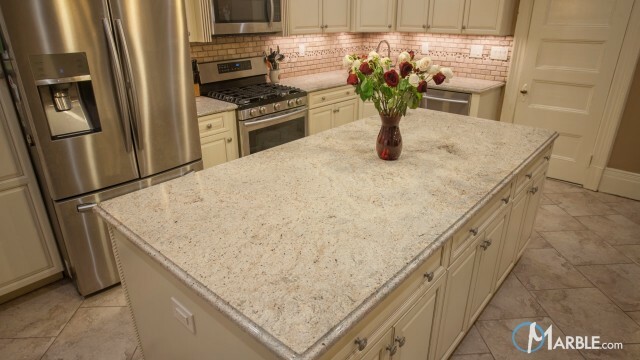 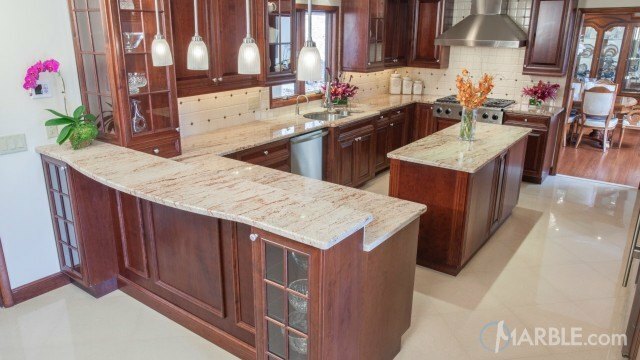 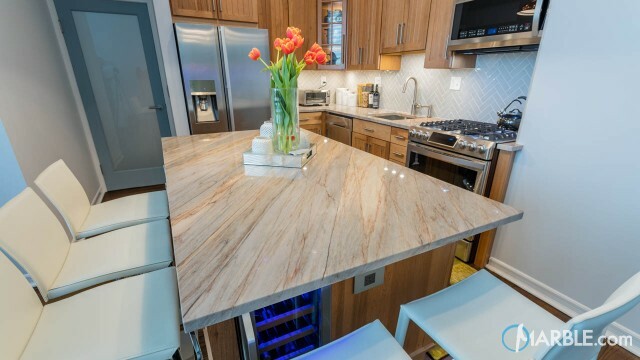 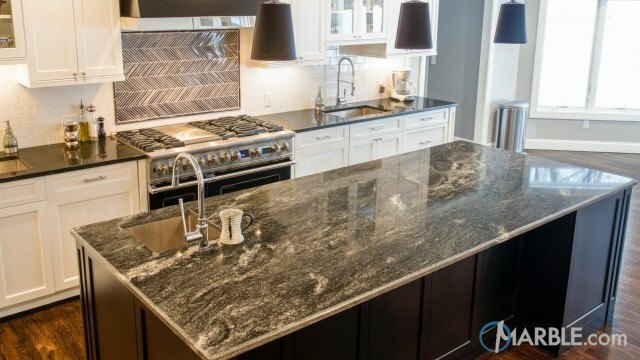 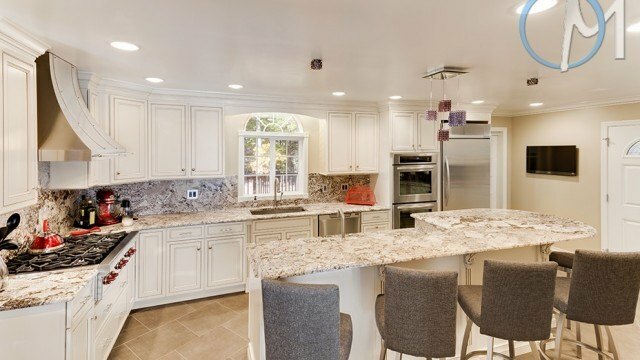 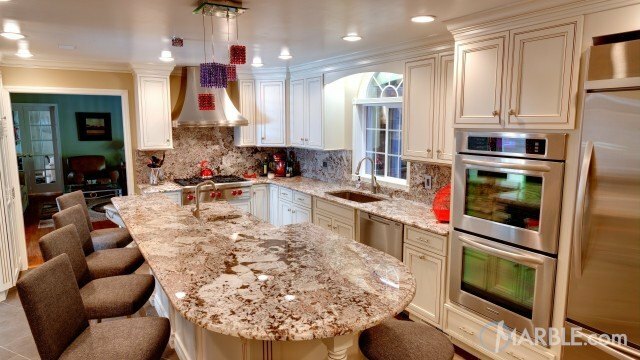 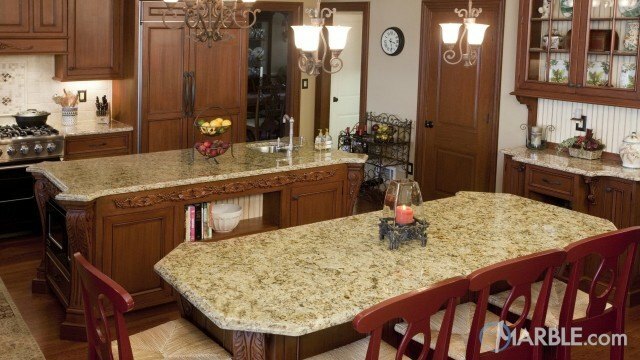 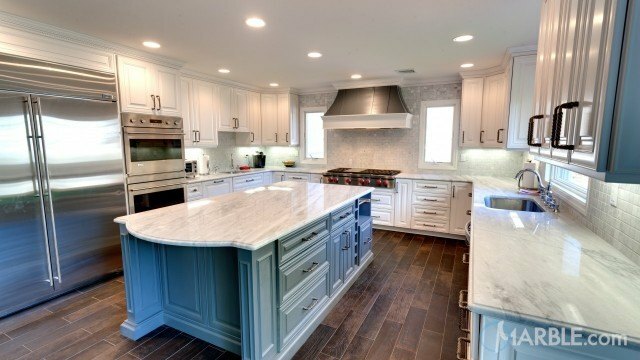 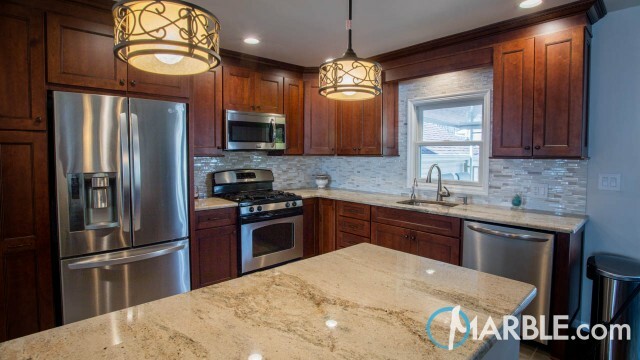 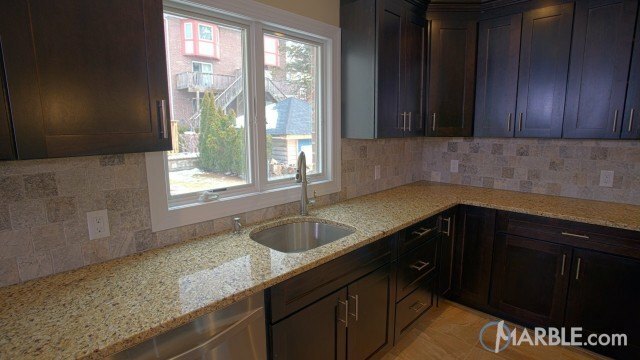 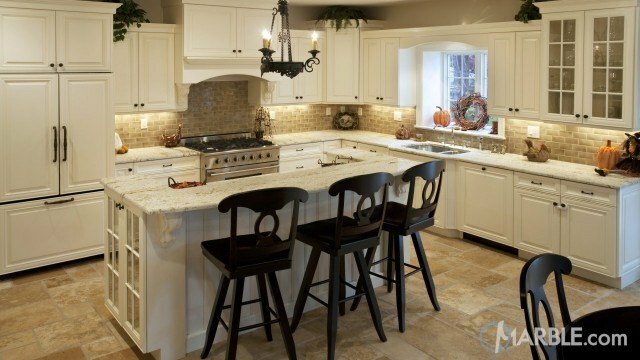 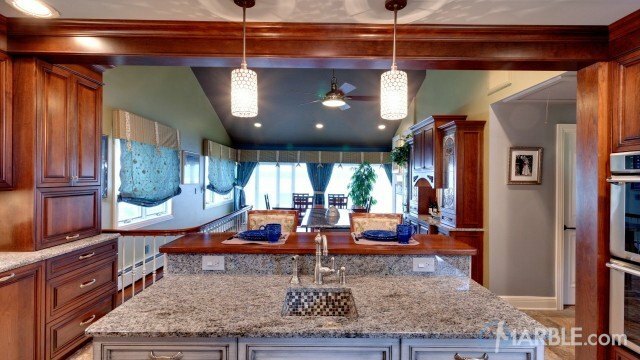 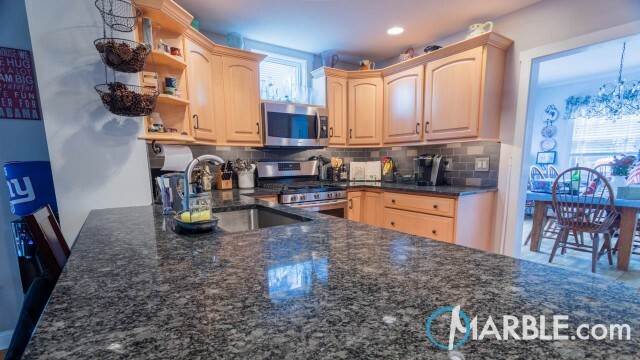 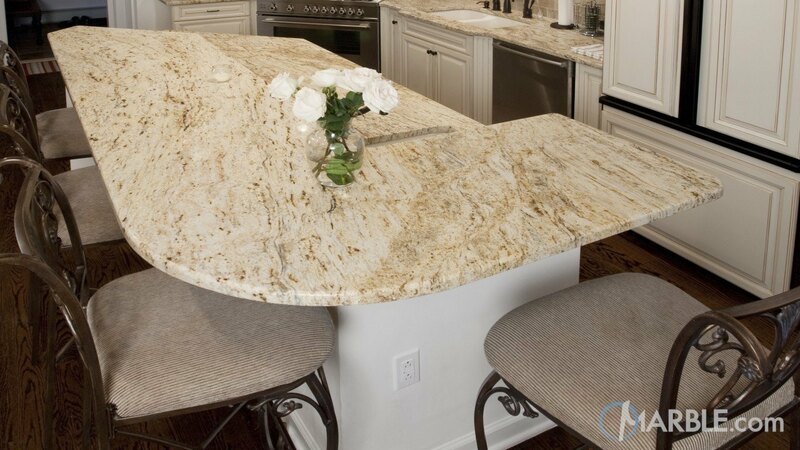 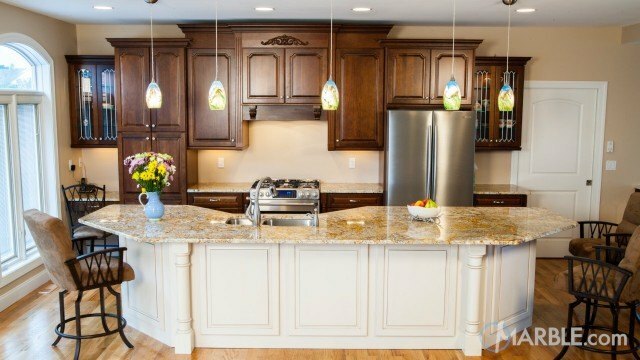 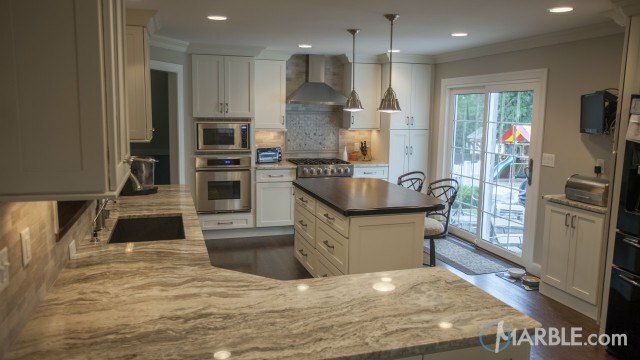 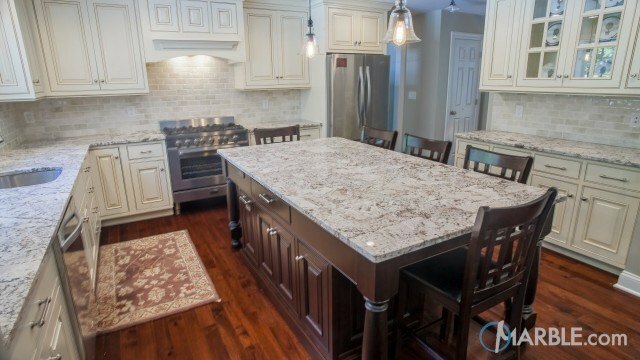 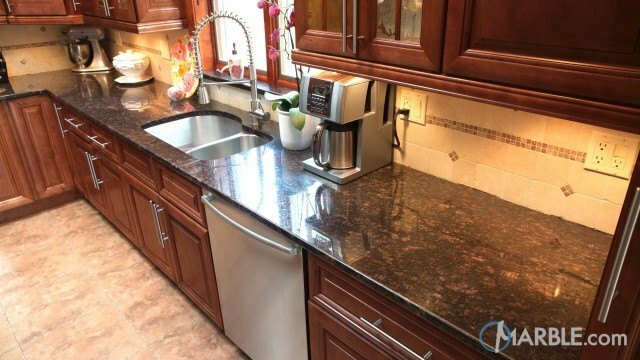 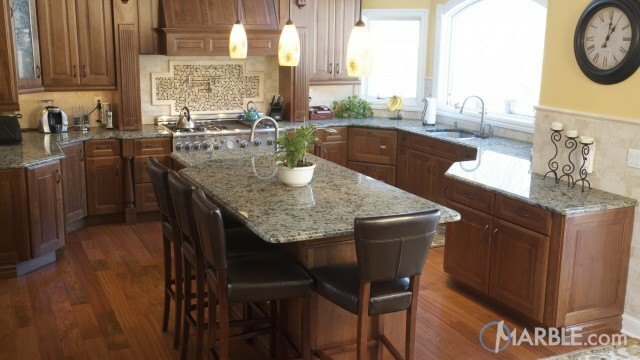 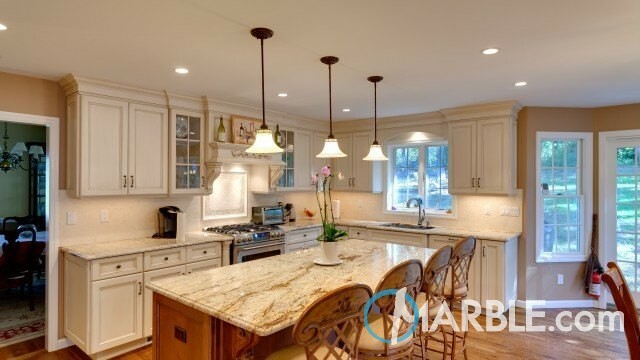 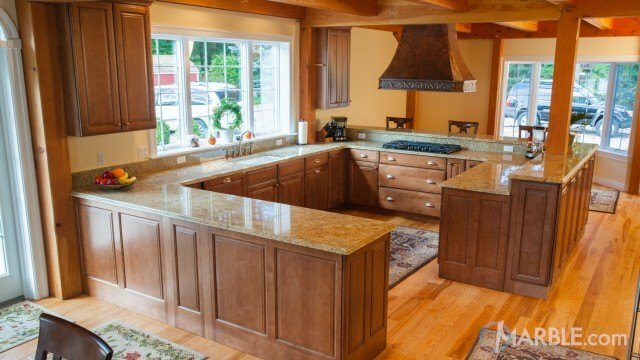 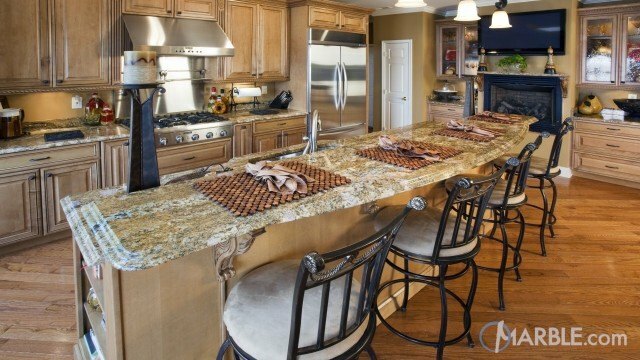 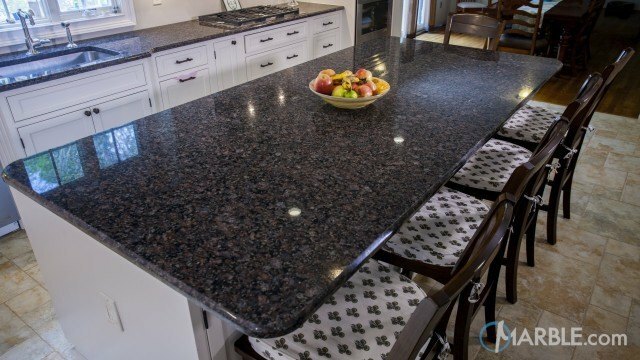 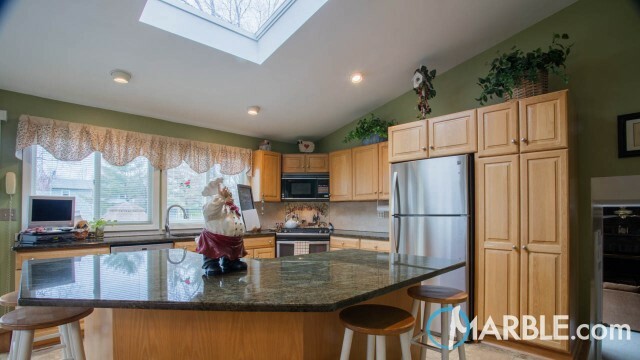 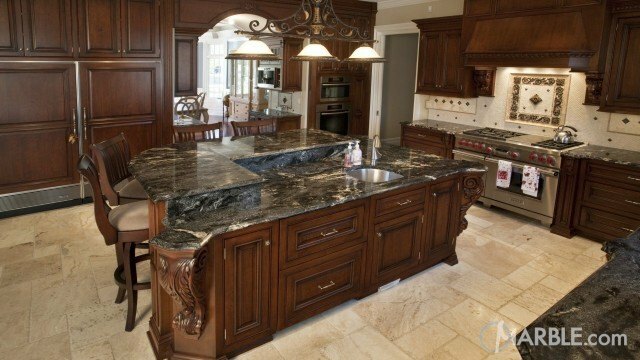 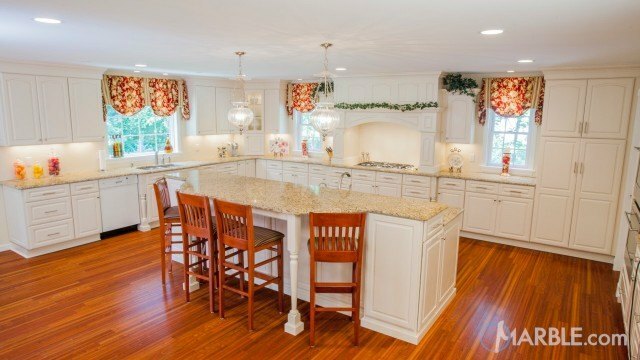 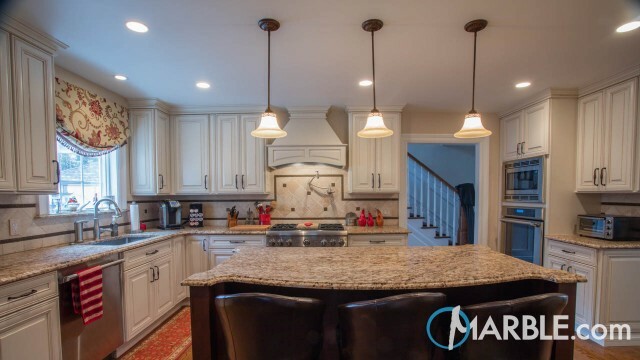 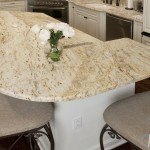 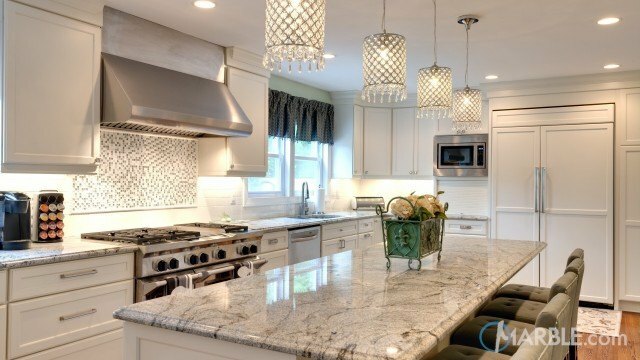 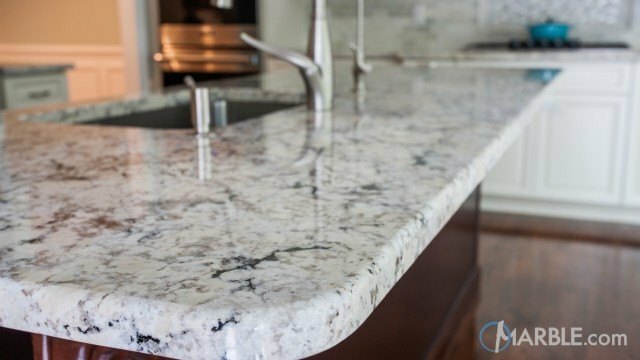 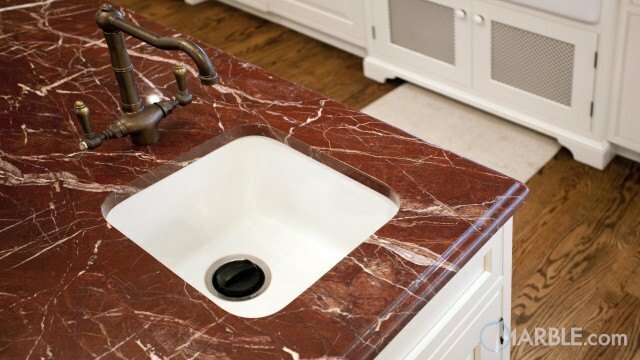 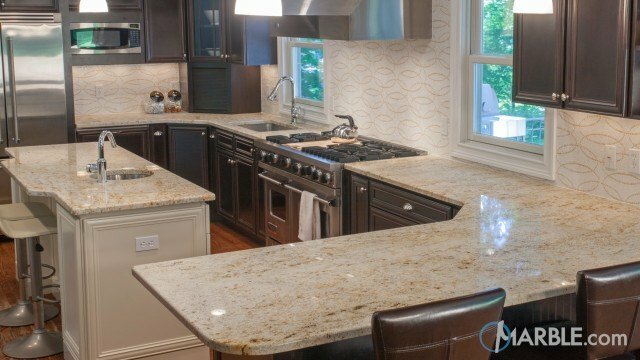 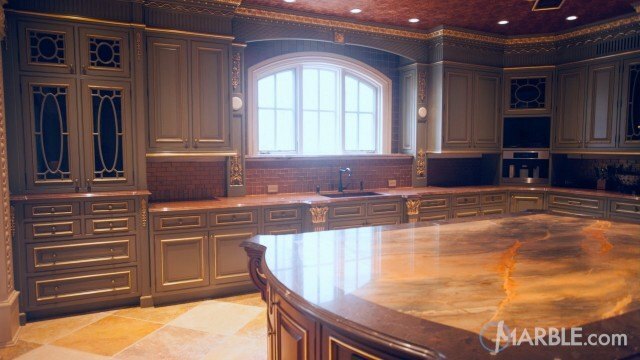 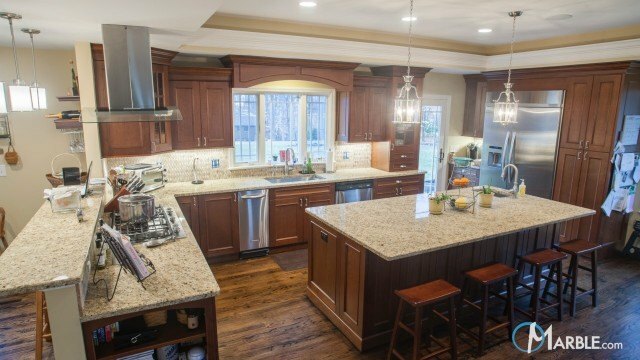 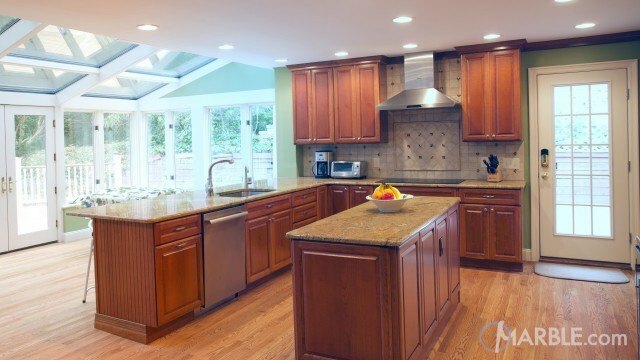 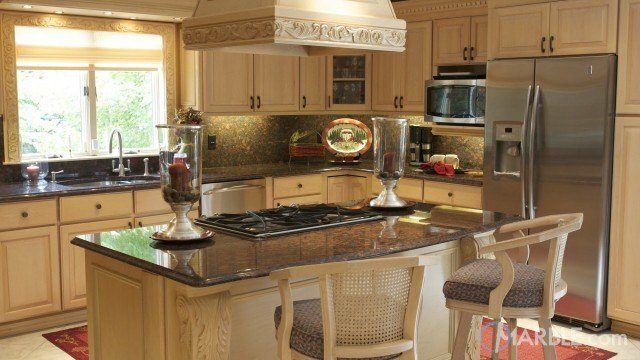 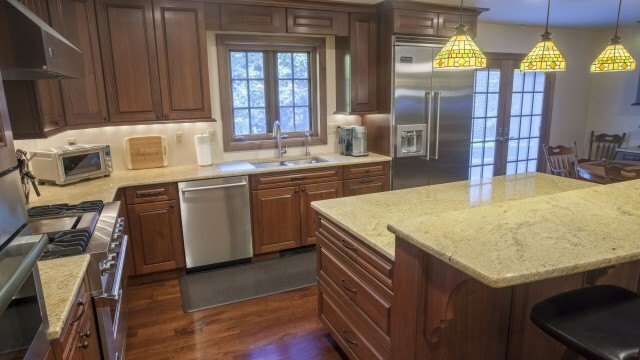 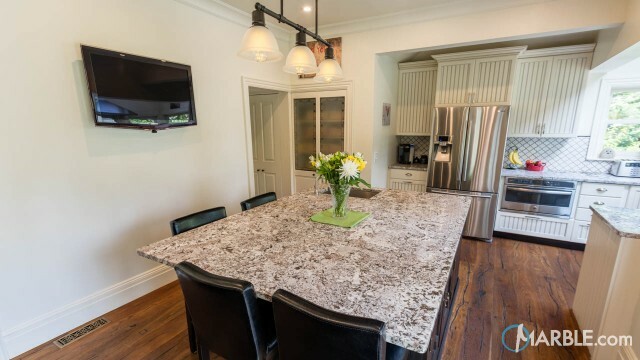 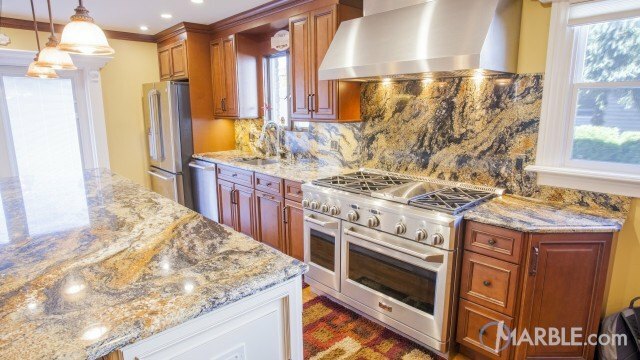 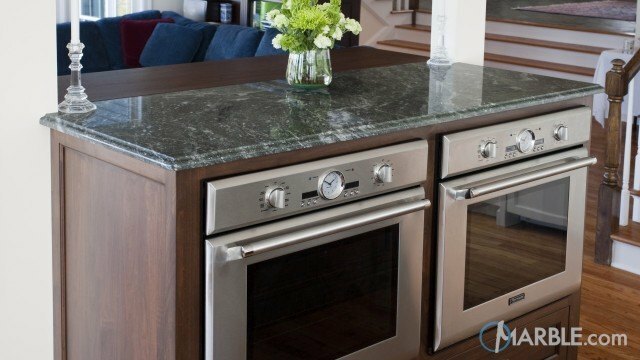 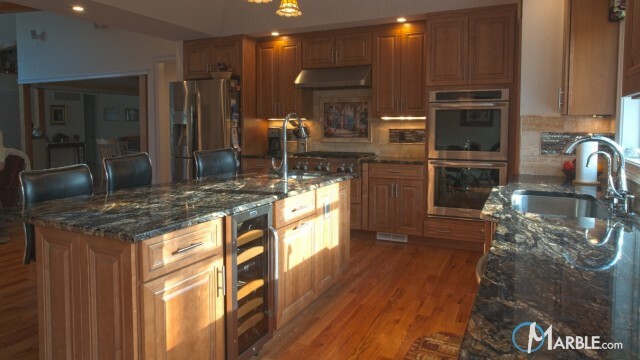 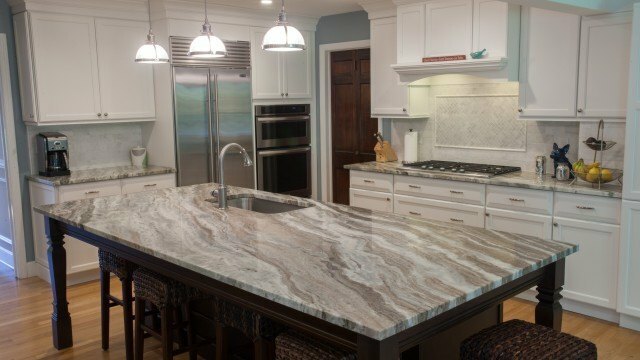 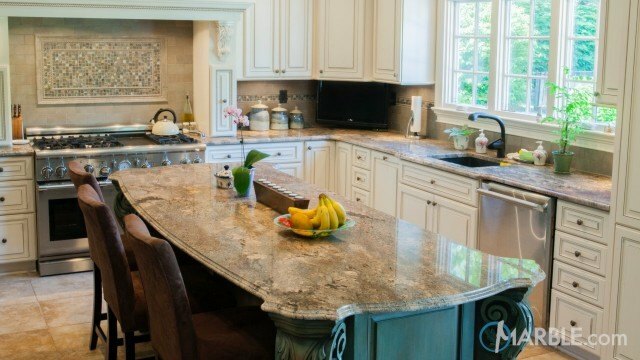 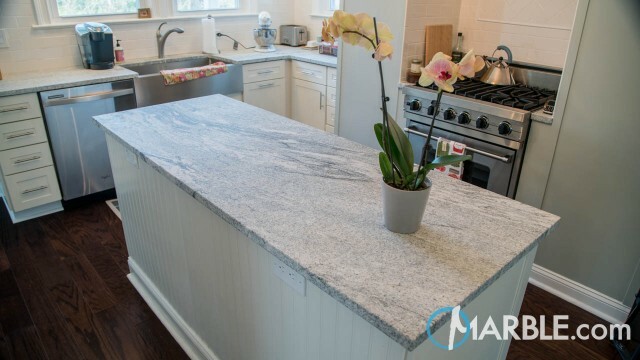 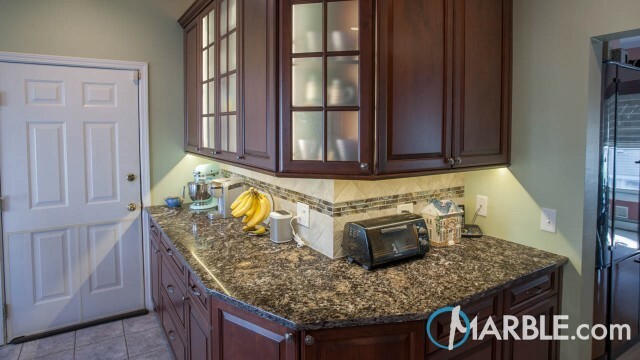 Soft lights illuminate a multi layered island of Colonial Gold granite with a 1/4 round edge. 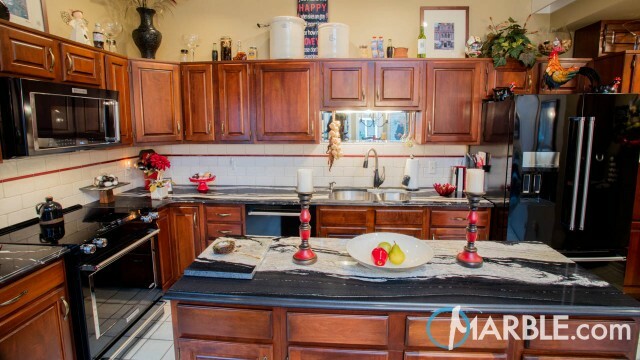 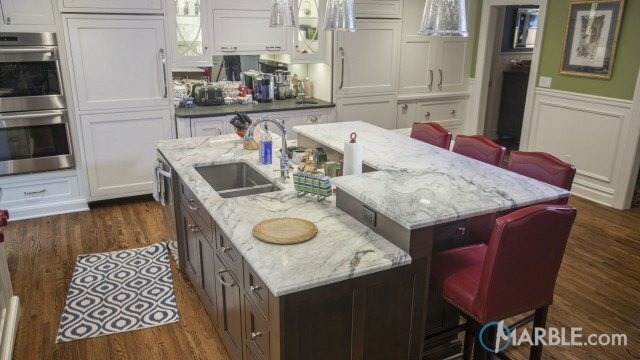 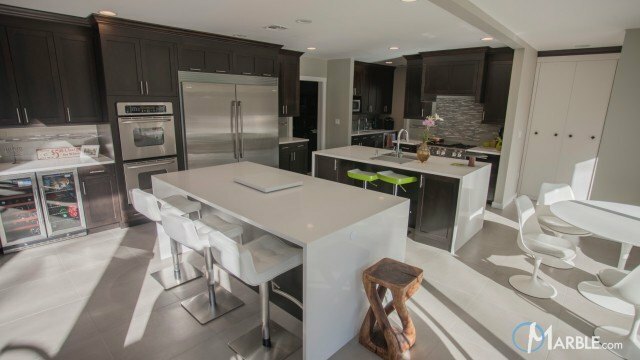 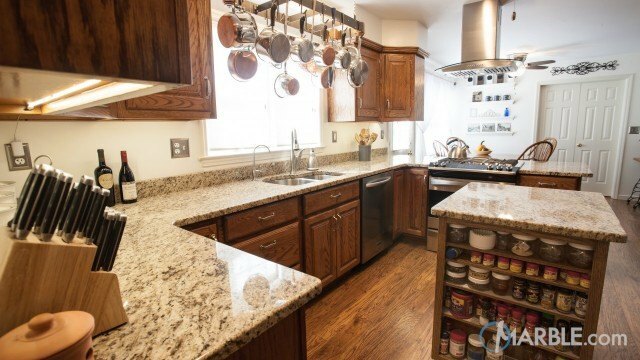 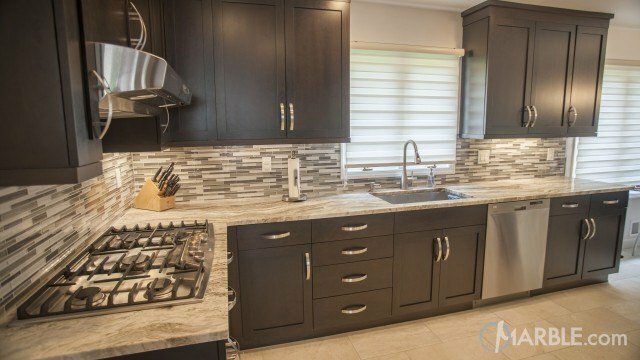 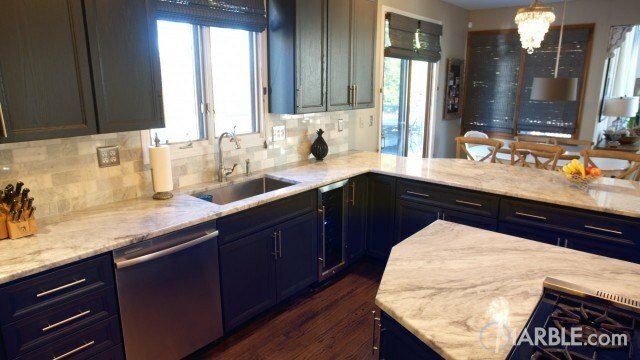 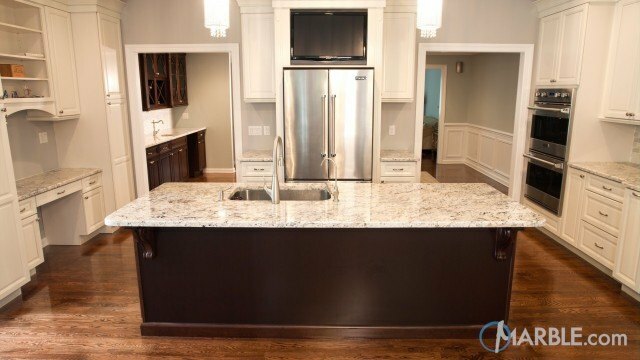 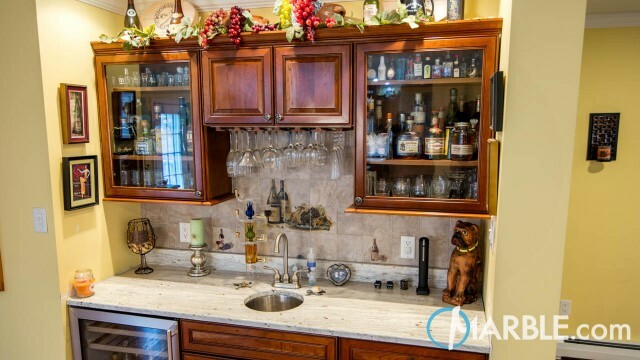 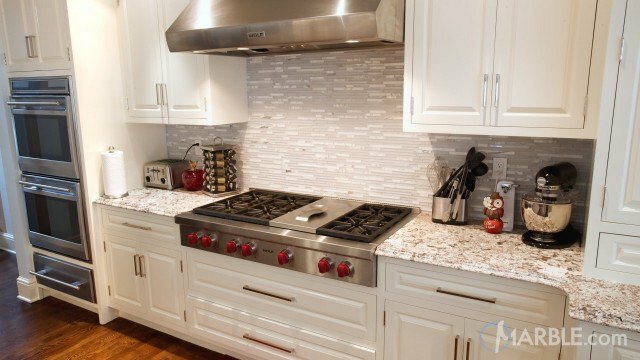 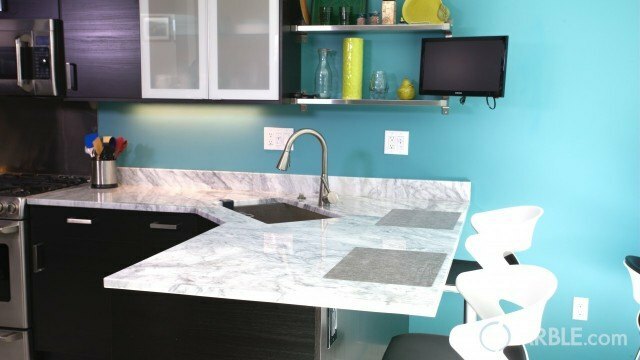 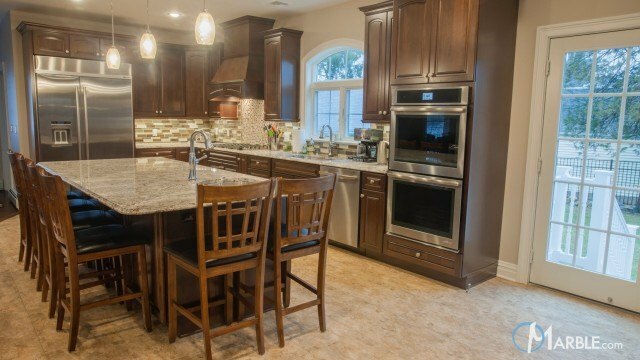 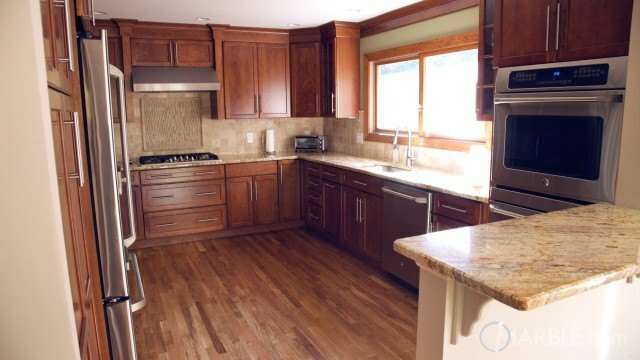 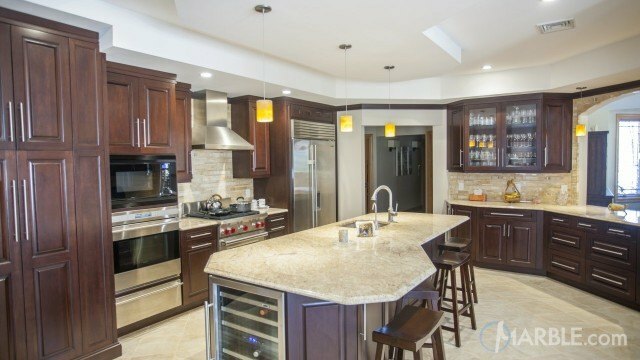 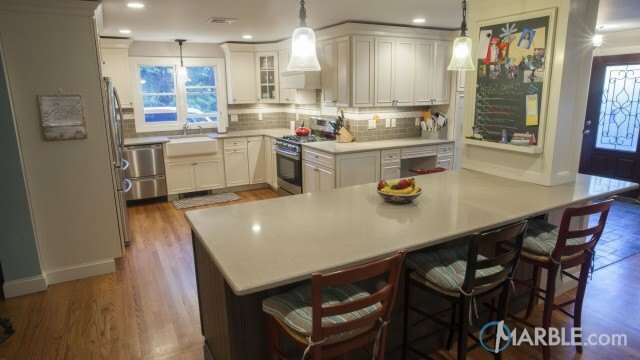 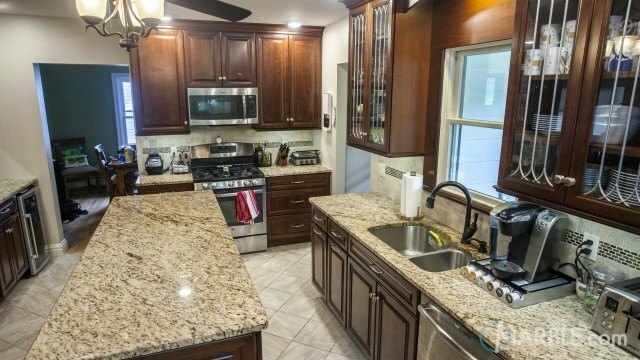 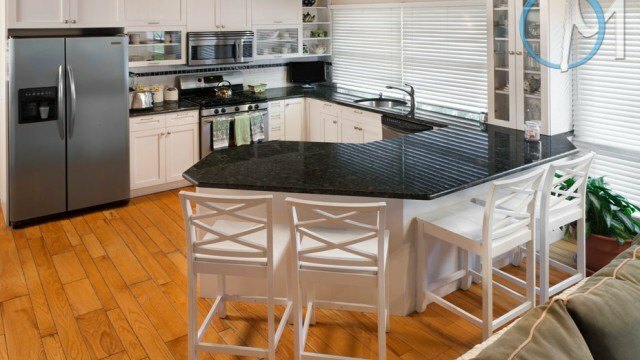 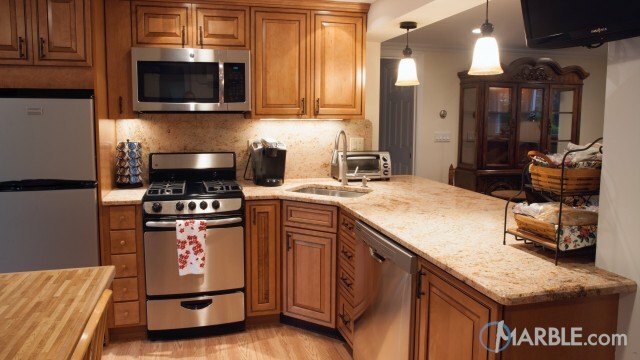 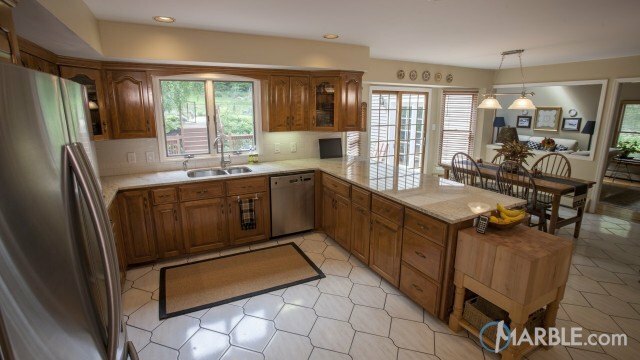 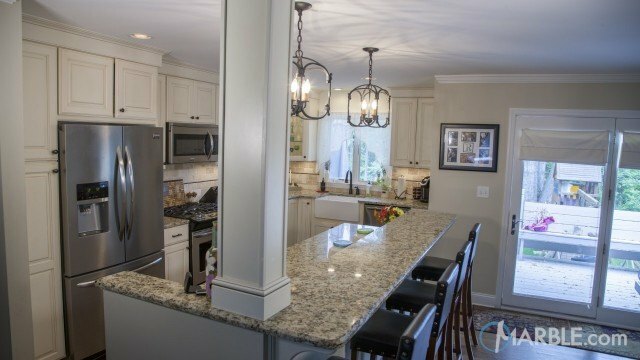 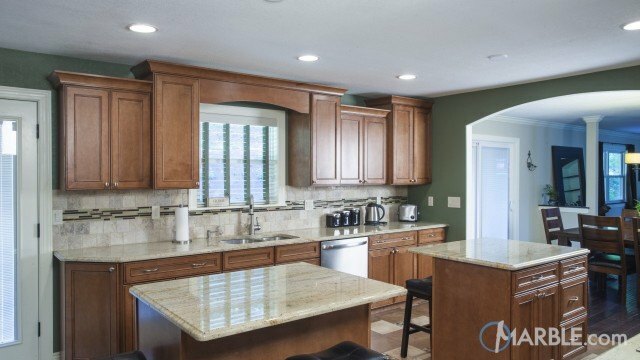 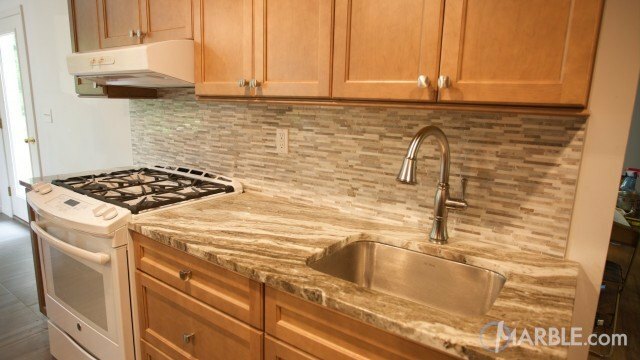 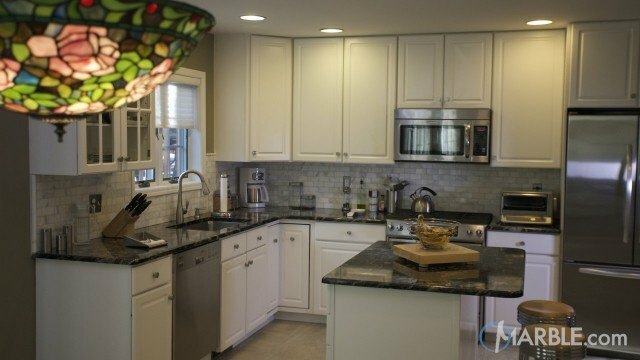 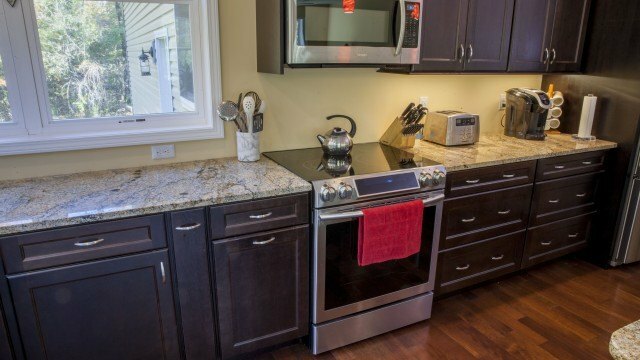 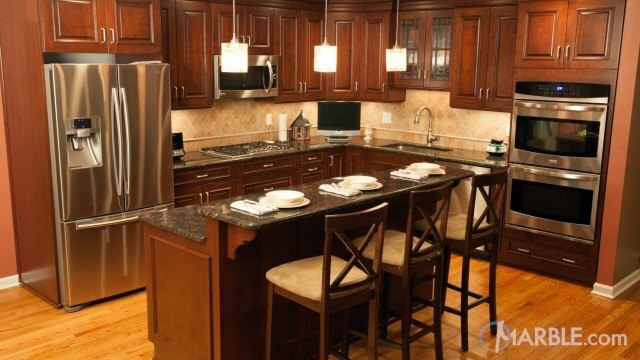 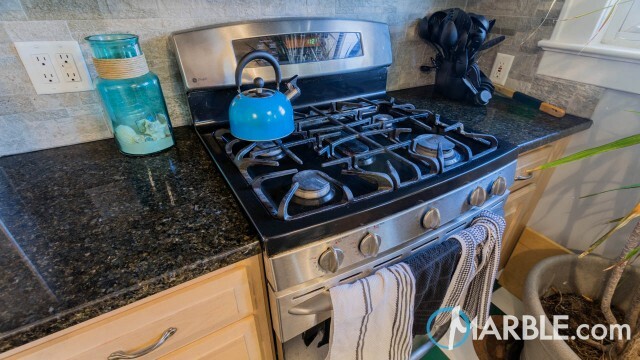 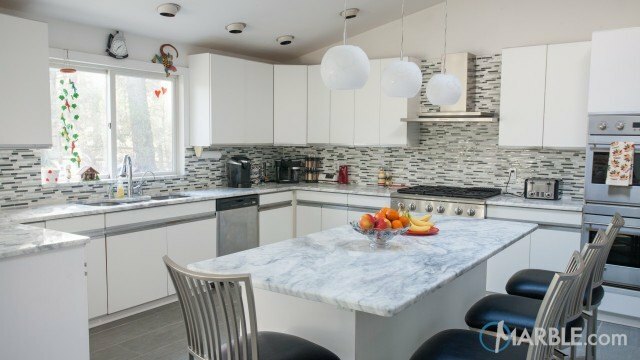 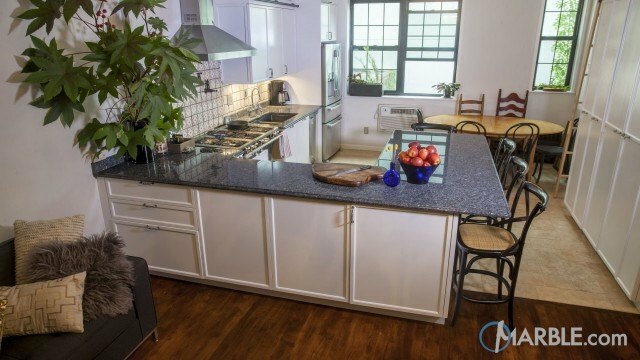 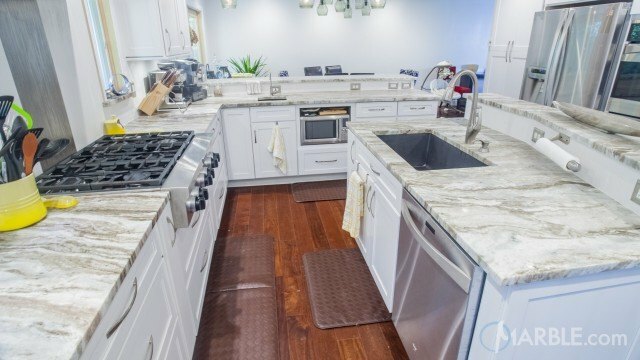 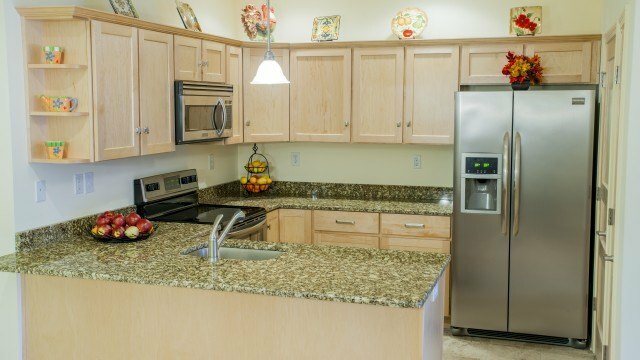 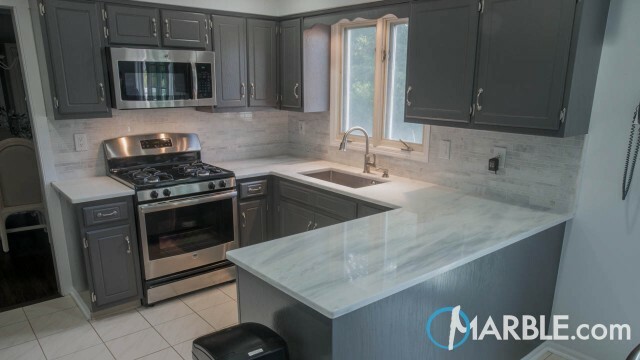 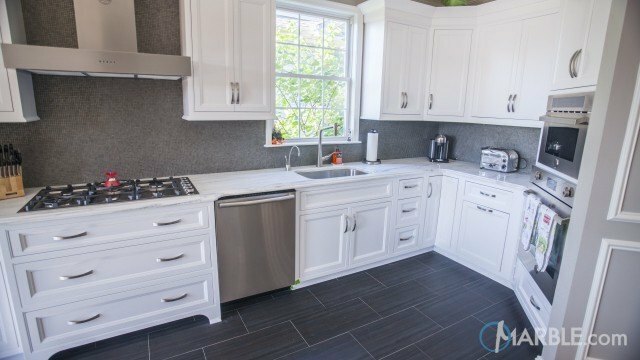 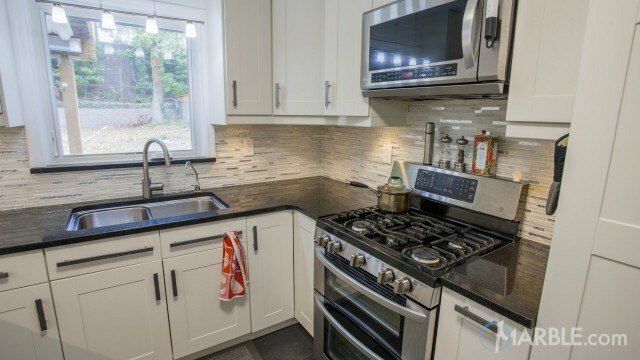 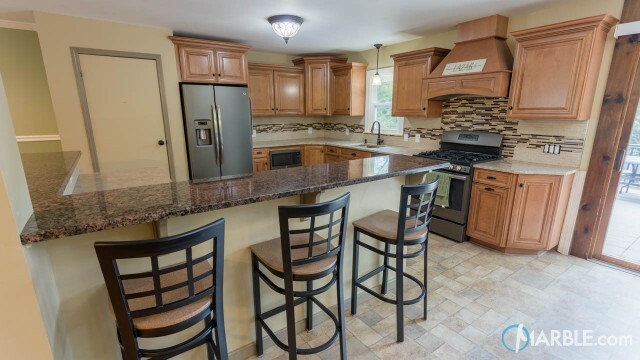 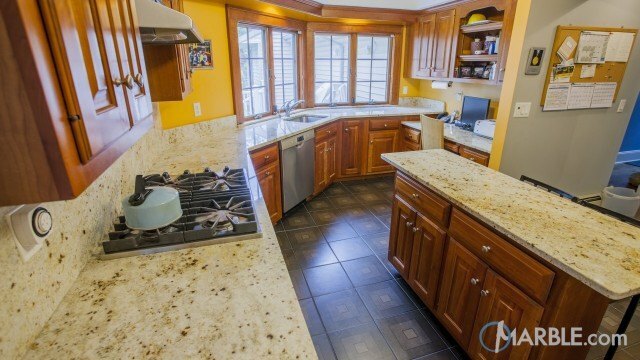 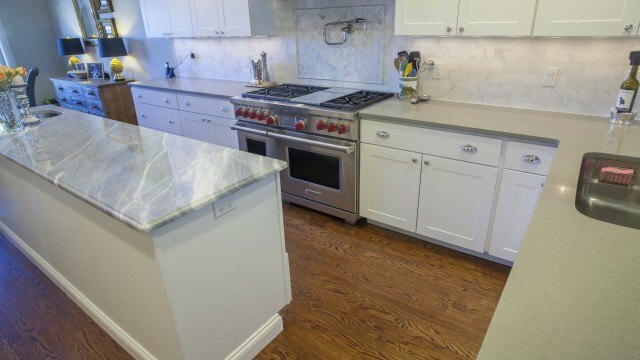 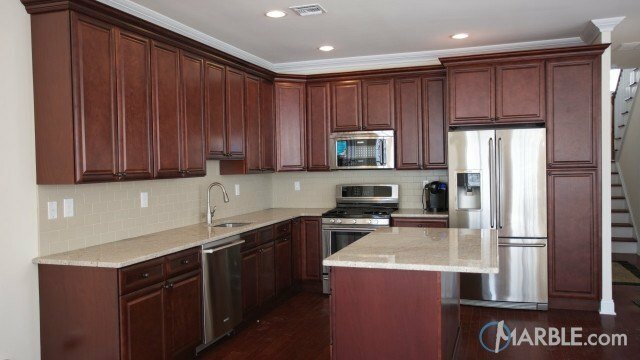 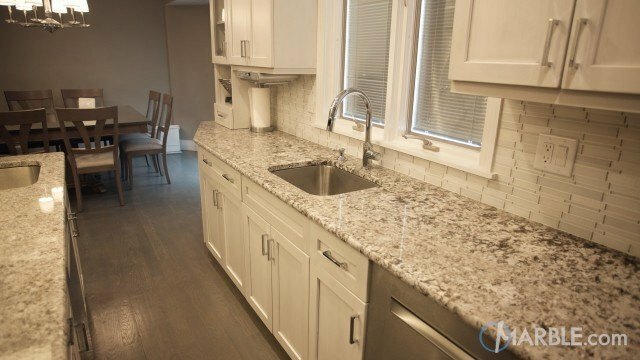 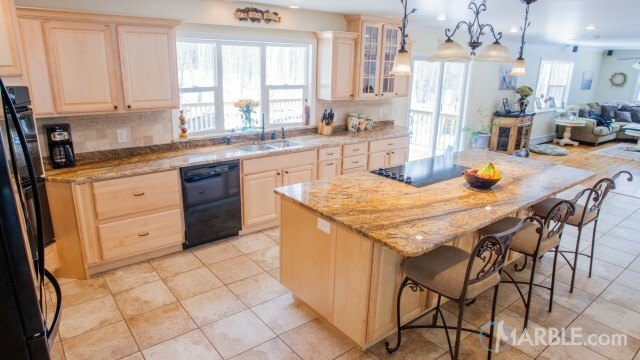 Matching doors on the refrigerator let it blend into the kitchen instead of making a statement. 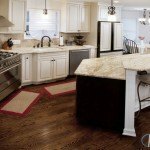 Dark wooden floors add a rustic touch.